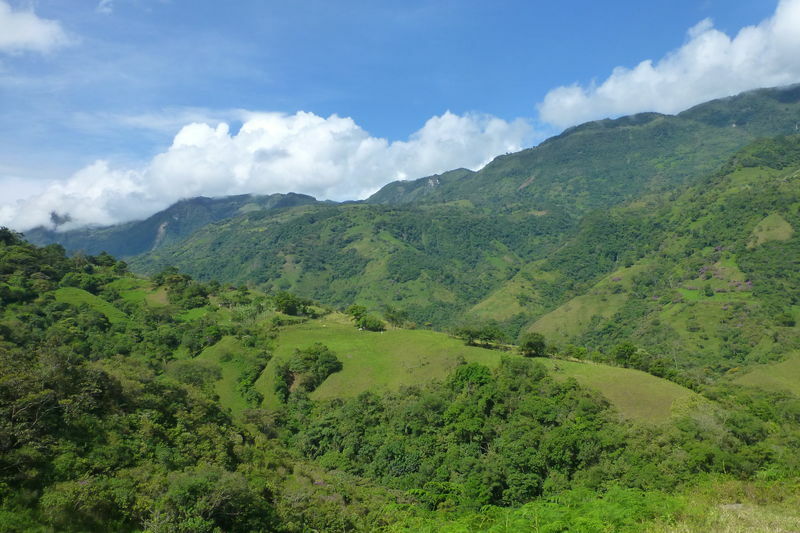 Here are a few snapshots of a recent trip (last week) I made with a couple of friends in the Eastern Emerald Belt of Colombia. 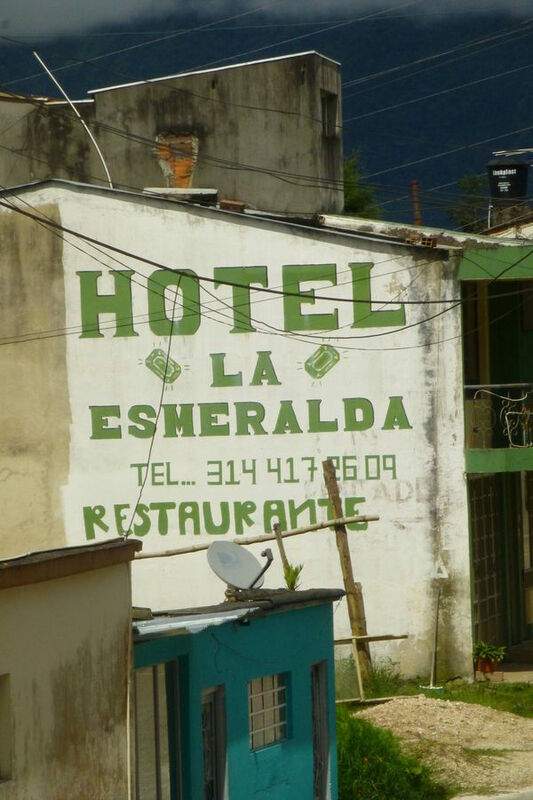 We set off from Bogota well before dawn and headed first to the Gachalá emerald district. 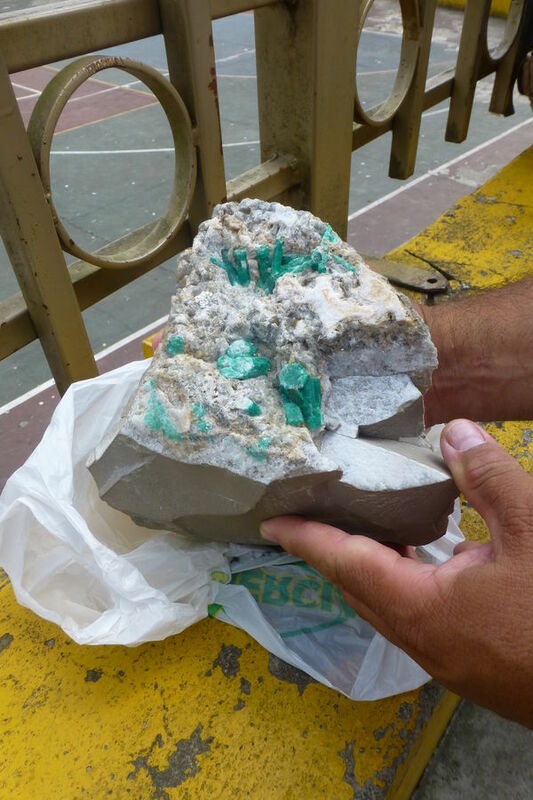 We had our first rockhounding stop just a few km away from the famous (and now abandoned) open pit mine of La Vega de San Juan where was found the famous "Gachalá emerald" in 1967, a 858 carats crystal (5x5x5cm) which is now on display in the Smithsonian Institution, in Washington D.C.
We were hosted by a mine company called "La Emilia" which was named after another famous emerald specimen of 7,025 cts discovered in 1969 in the Las Cruces mine. 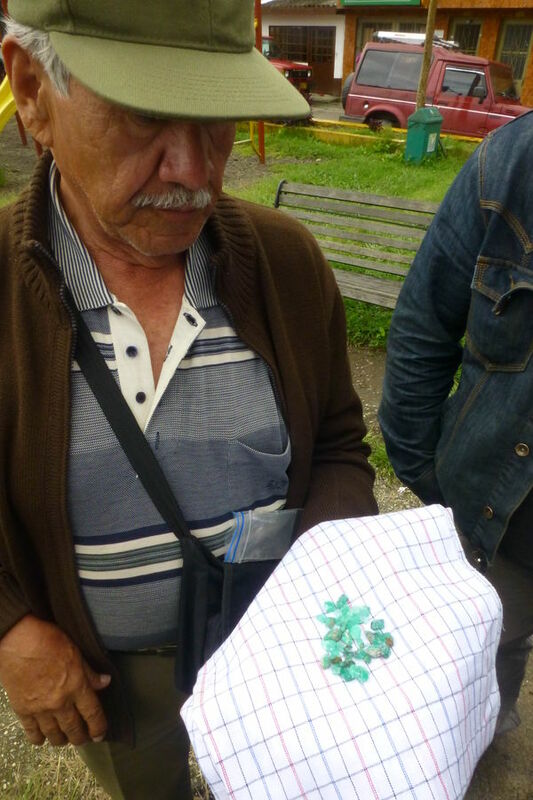 We had a tour of the various mining sites but the only emeralds we saw were actually the ones sold by some miners. The next day we headed up north to the Chivor district. This was Saturday and the mines were not in operation. This did not stop us doing some rockhounding by taking an unofficial tunnel used by the "guaqueros" (unofficial or independent miners). 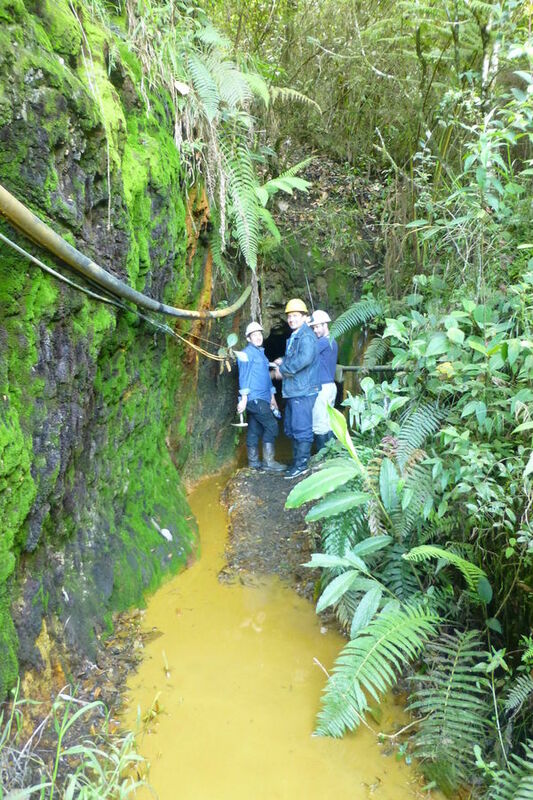 I know, all this sounds completely illegal, but actually it is ok as long as the mining company operating in the area is made aware of our presence. 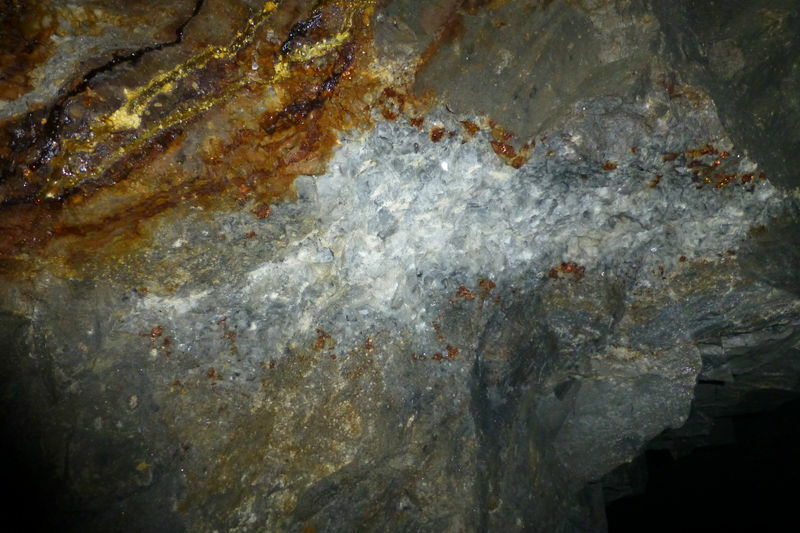 Here too, we were not very successful in our attempts to find some beryl, even not crystallized. Last day was spend partly in the village of Chivor where we saw many specimens and crystals on sale (it was market day). 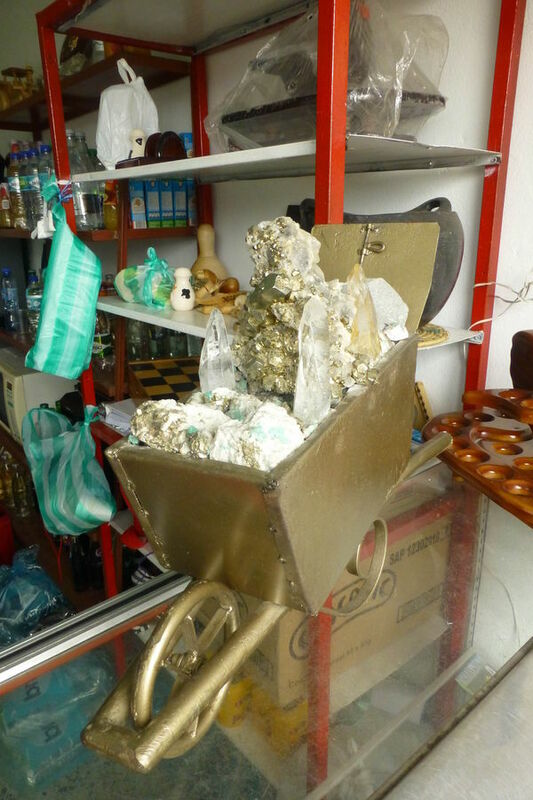 On our way back to Bogota, we had a stopover in the town of Guateque where we also saw some very nice calcite and pyrite specimens... in a grocery store! The various localities of the Eastern Belt are located within the blue rectangle. 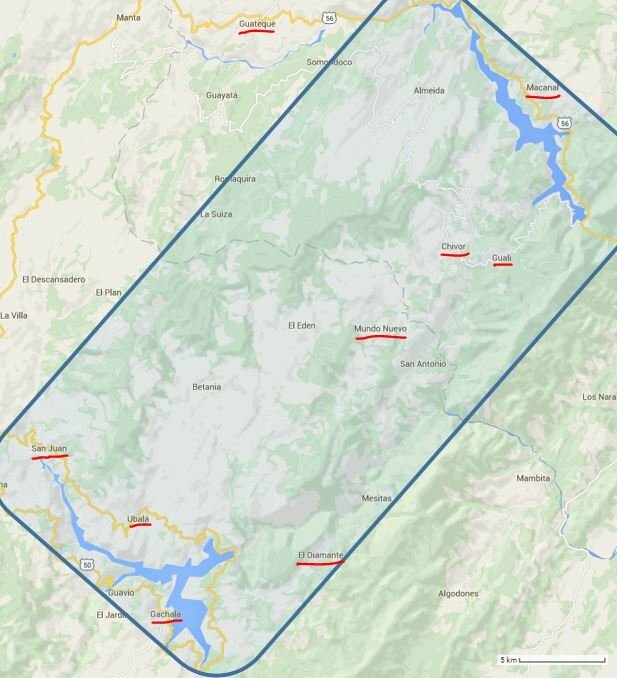 Underlined in red, some significant mining areas and towns. 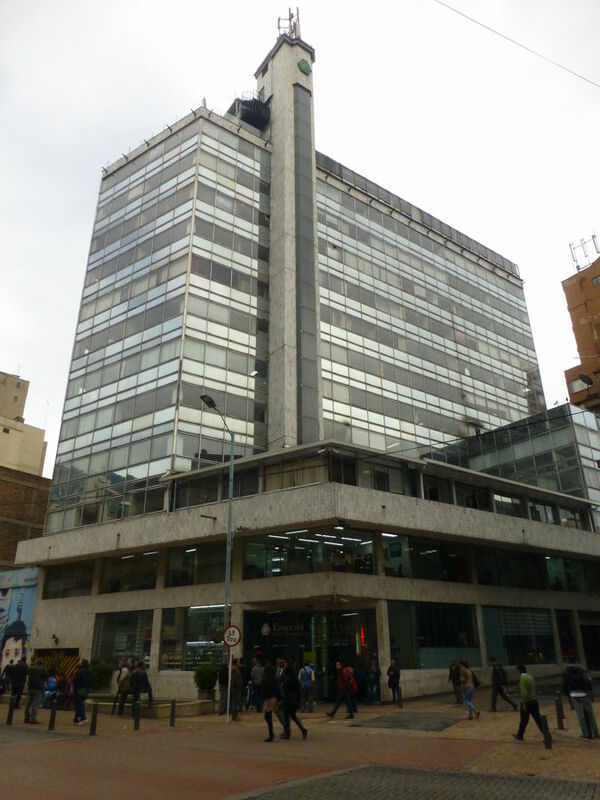 The Emerald Trade Center building in Bogota. Most of the key stakeholders of the emerald business have their main office in that building. This is enough to get inspired. Now it's just a matter to choose the right transportation mode. 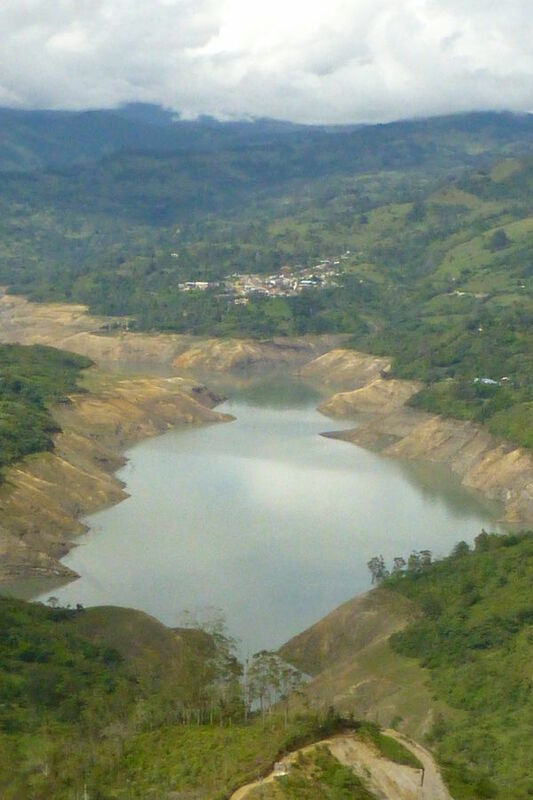 The "El Guavio" reservoir lake at low level. 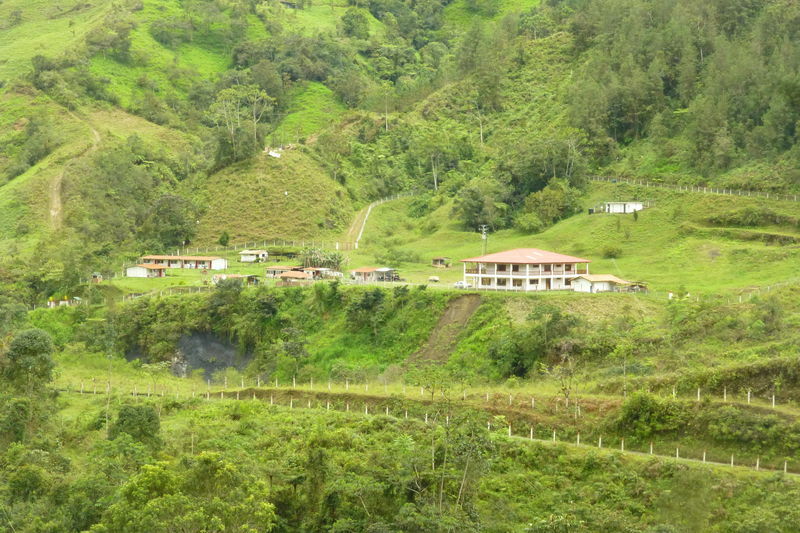 In the background, the town of Gachalá. The campsite of the mining company "La Emilia". The shafts were not in operation during our visit due to a power outage. This one had a depth of 40 meters. Entrance of a tunnel in the area operated by La Emilia. 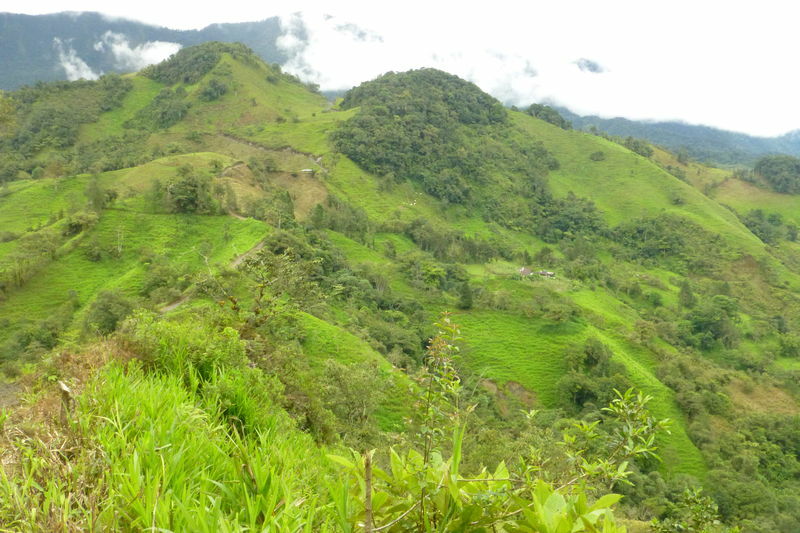 Kaolin is commonly found in the Gachalá area. But black shale is never far away! 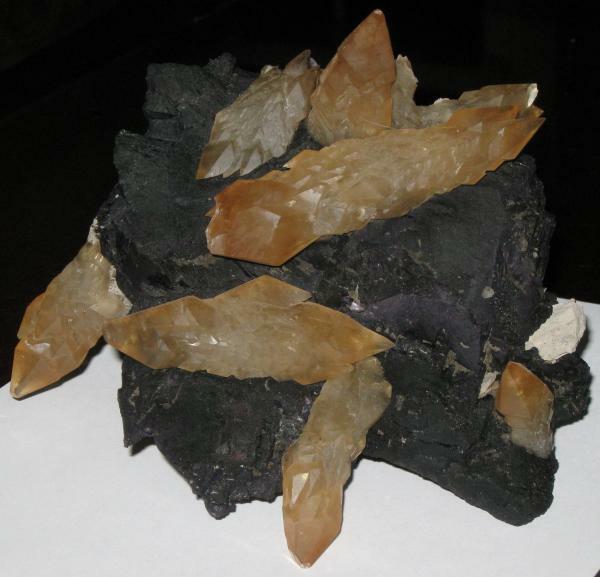 Beryl crystals are found mostly in the kaolin. A little bridge on the way to Chivor. 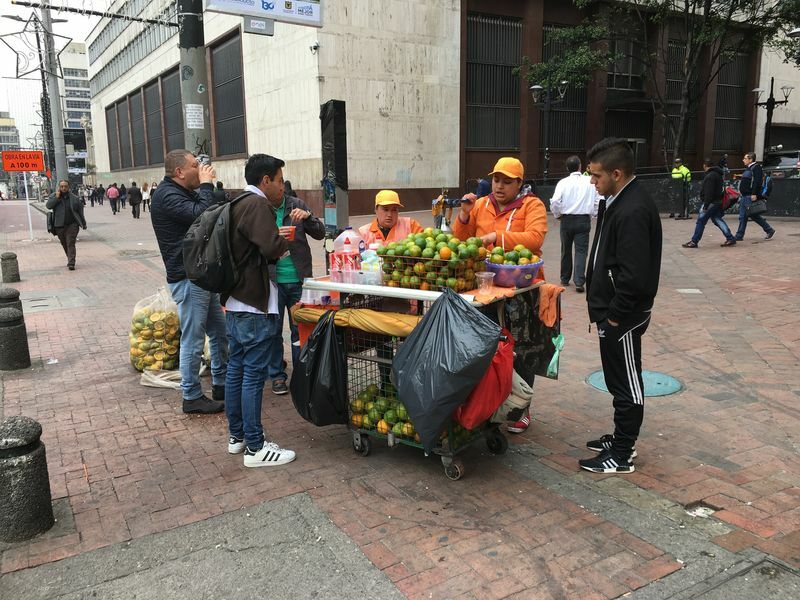 We were hungry so we asked this lady if could buy her bunch of bananas. The (promised) land of Chivor. 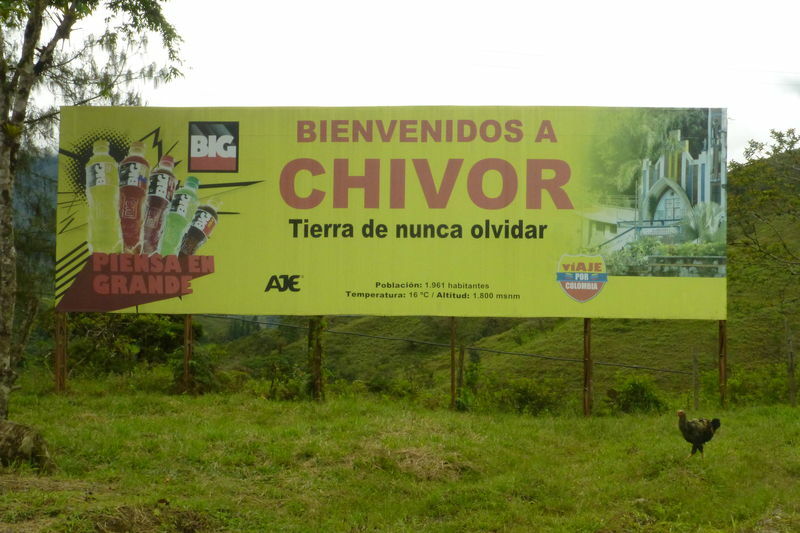 The town of Chivor is still 20mn away. 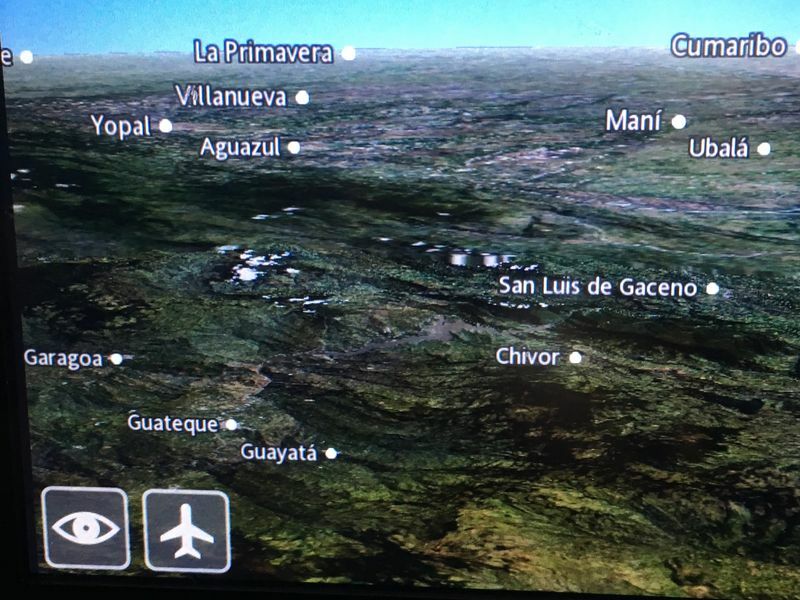 "Tierra de nunca olvidar" literally means... hmmm... maybe Jordi can translate that one? 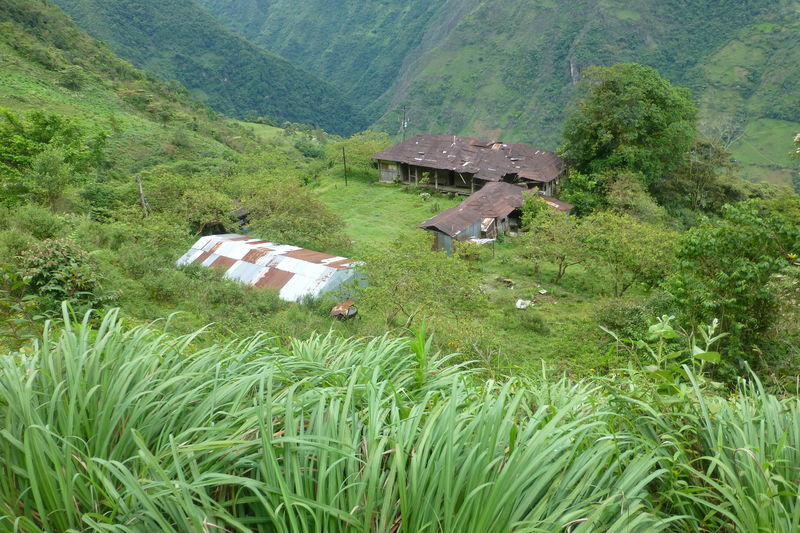 Campsite of the Guali mine. 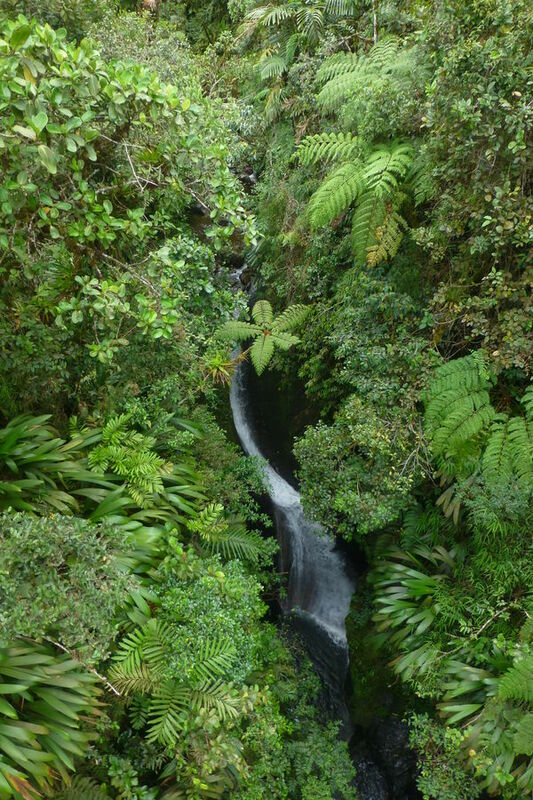 Lush scenery in the Chivor area. Beautiful scenery in the Chivor area. We were lucky to see some toucans on the way. 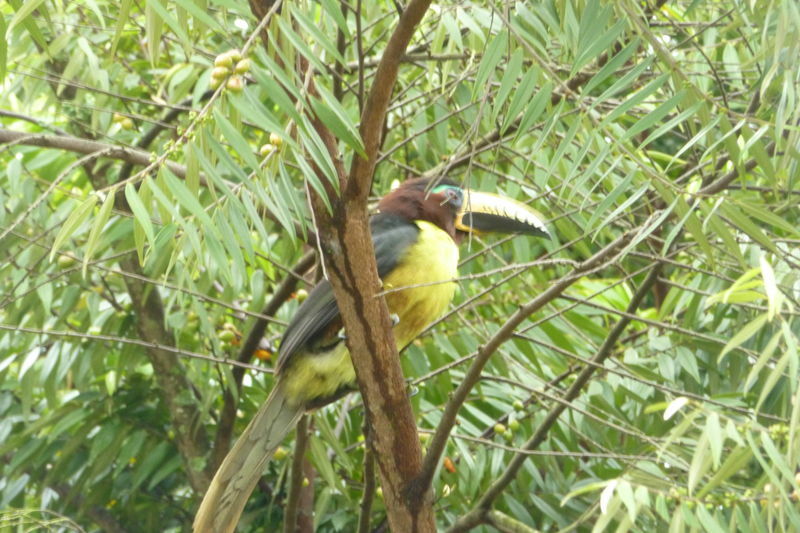 There is a toucan species called locally "toucan esmeralda". These two Indians are blessed with emeralds. This is Saturday and the main tunnel is closed. 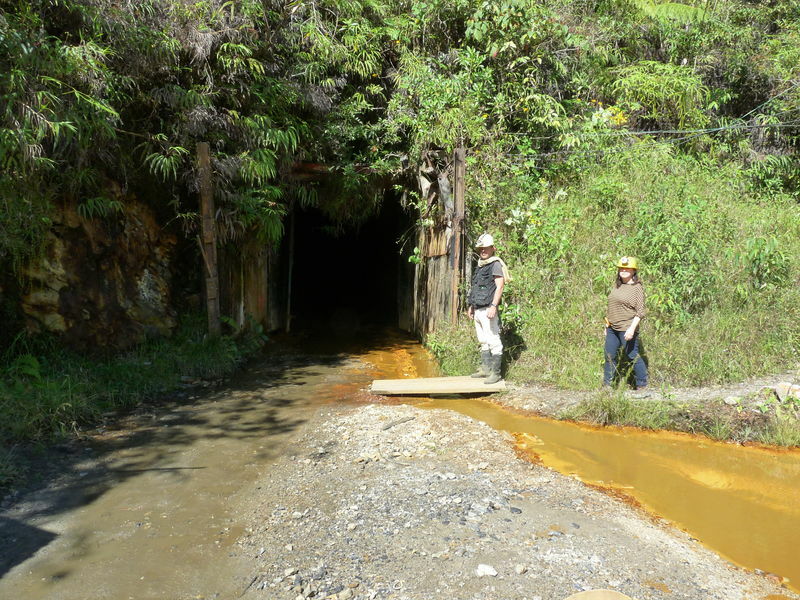 Never mind... we then decide to take one of the backdoors only used by the independent miners. A small calcite vein with good crystals. 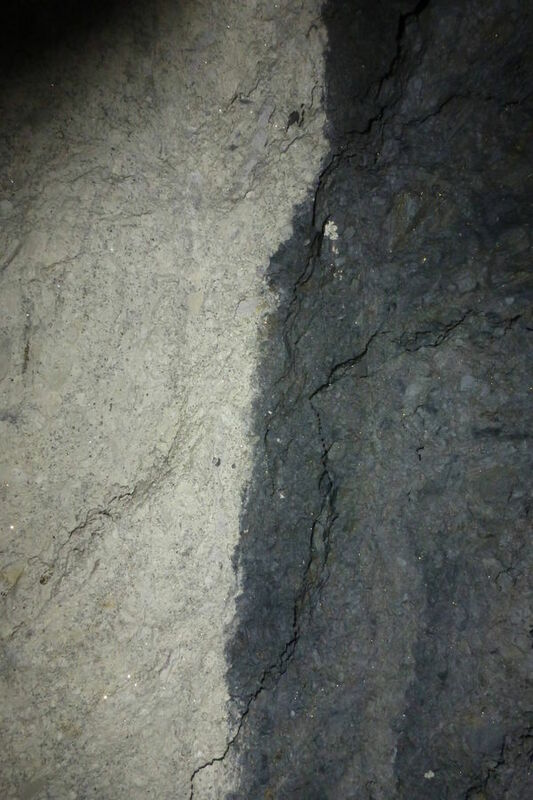 Contact between the crumbly grey shale and the black shale. All these "unofficial" tunnels are connected to the official ones. Sunday is market day in Chivor. 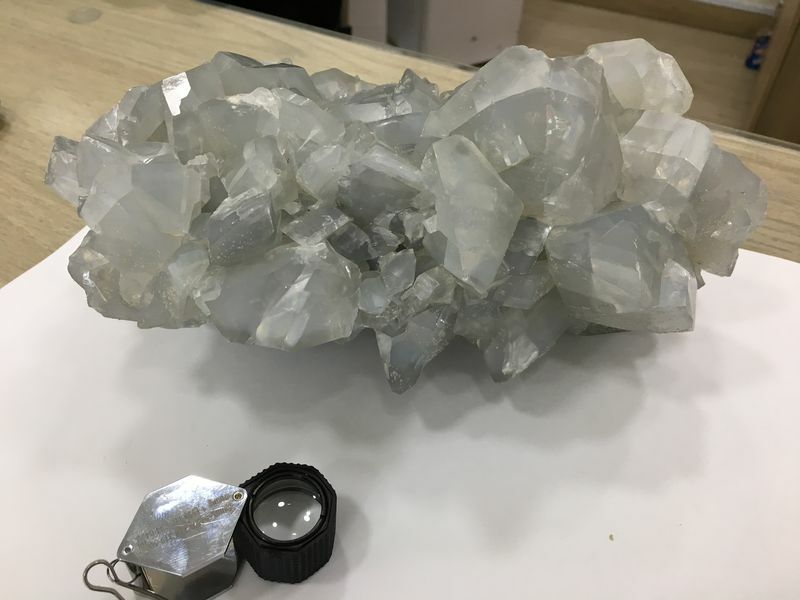 A small lot of nice euclase crystals. 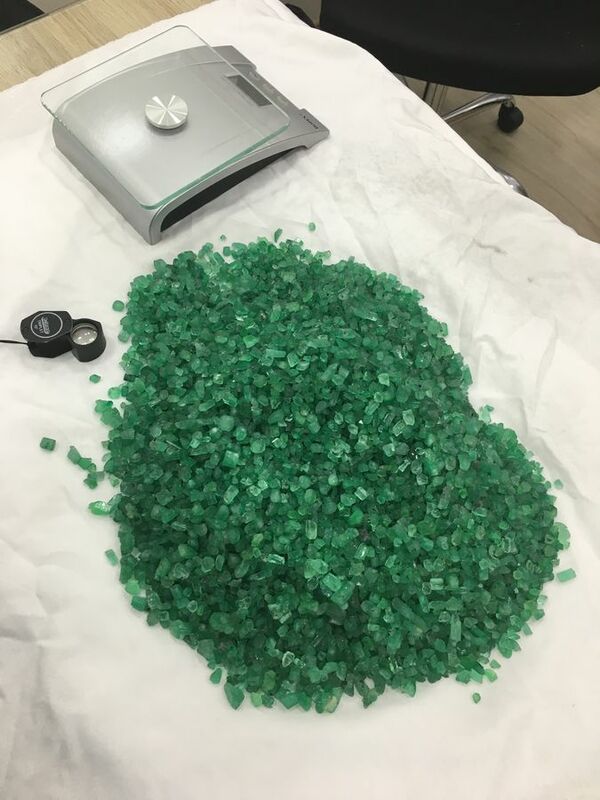 A lot of loose emerald crystals. 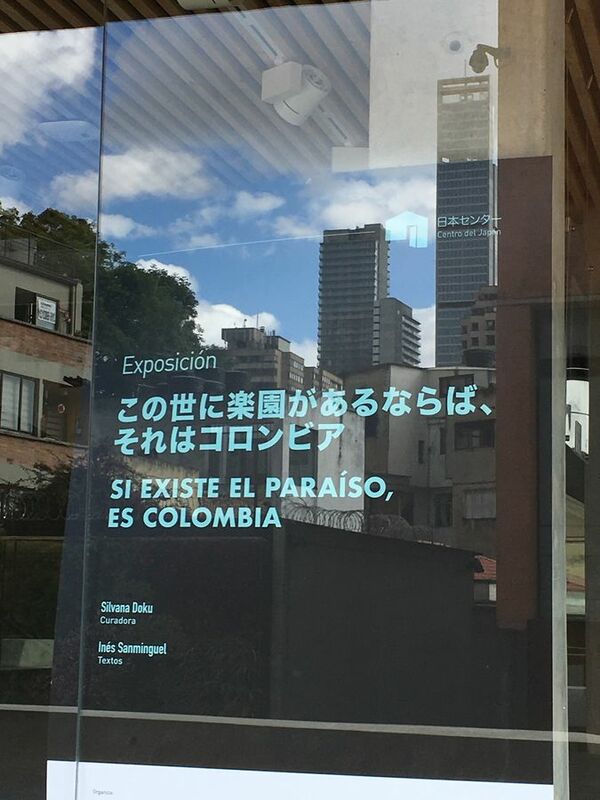 There is a tiny museum next to the square. 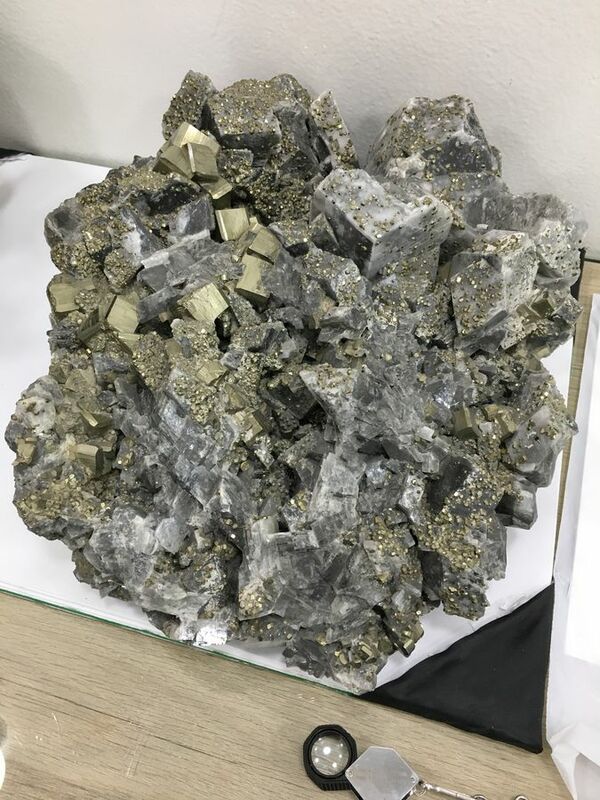 You better be convinced that pyrite is common in the Chivor district. 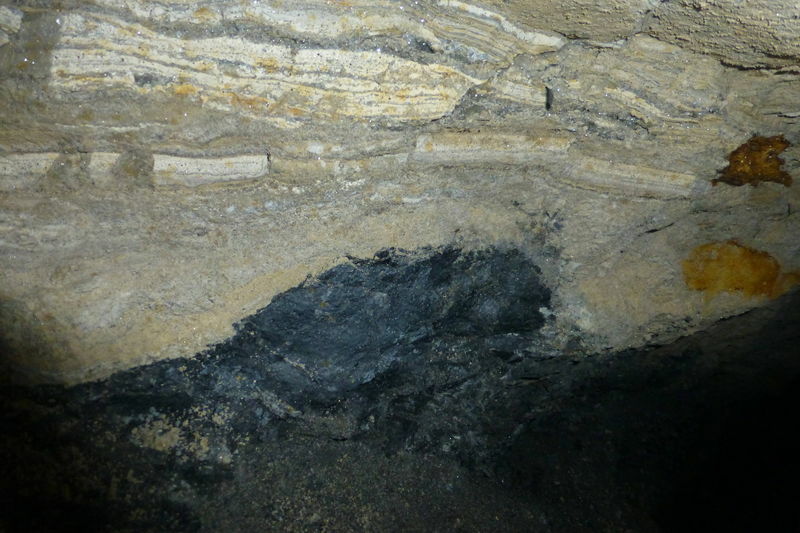 Huge calcite in crumbly grey shale. 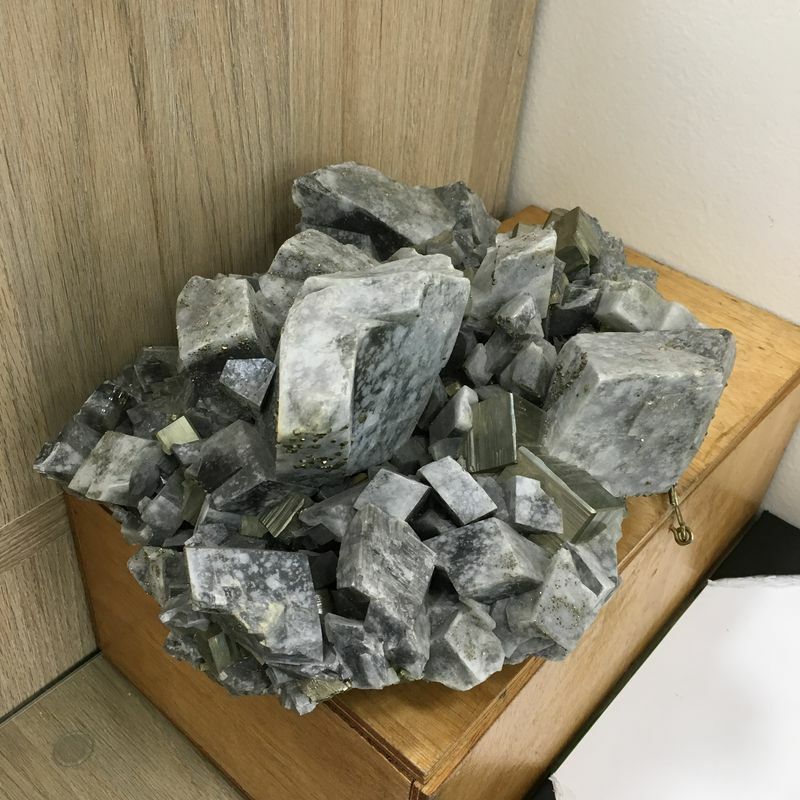 A large specimen of pyrite and dolomite on sale in a grocery store. Last look before leaving Chivor. 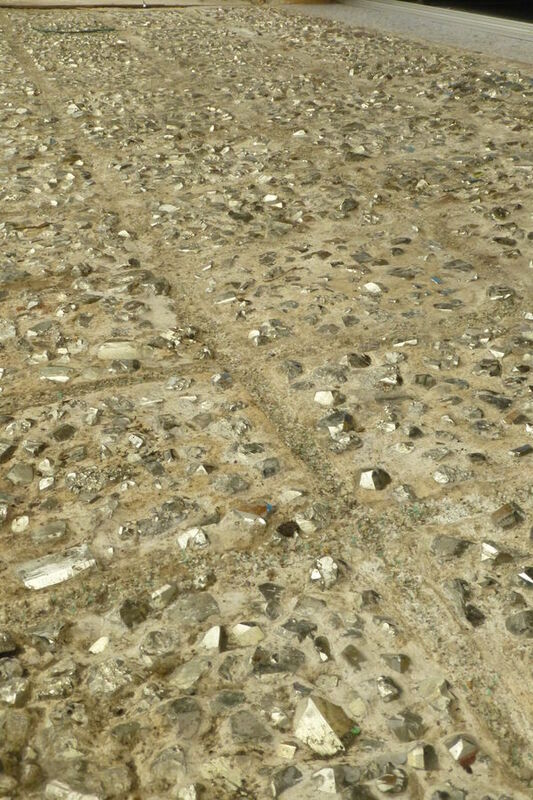 BUT some doorsteps are paved in pyrite!!! 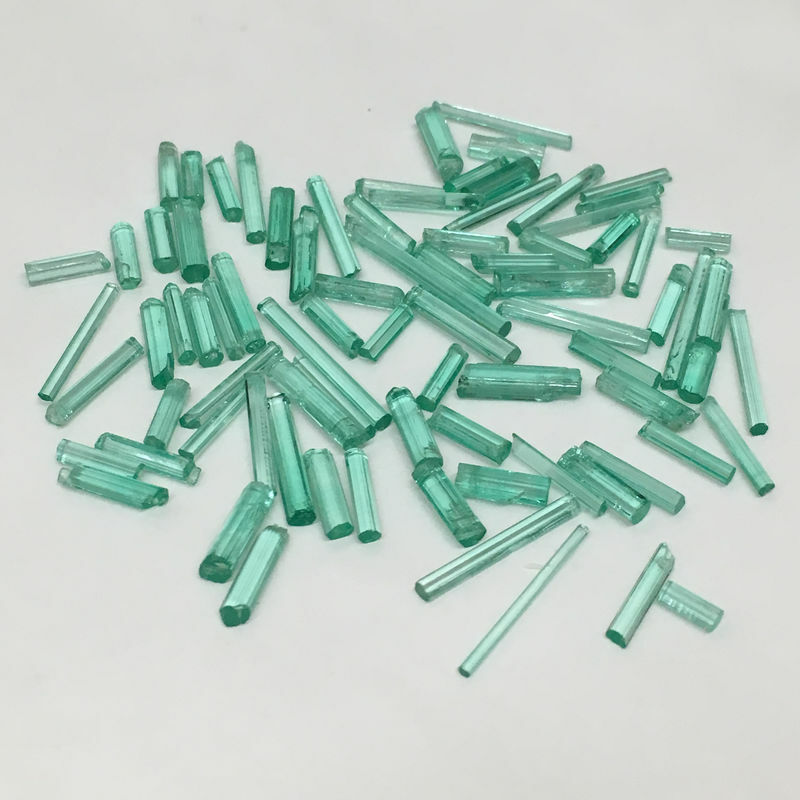 Some of these crystals are pretty nice actually. 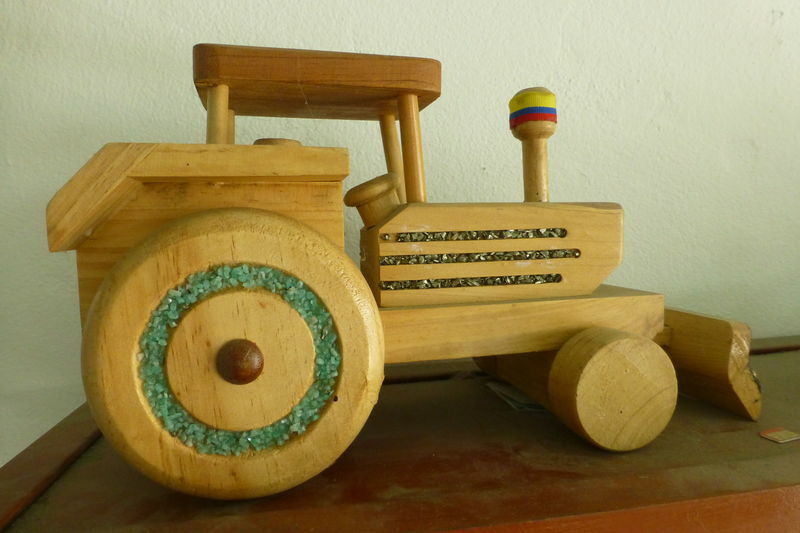 Never seen a tractor like this before! 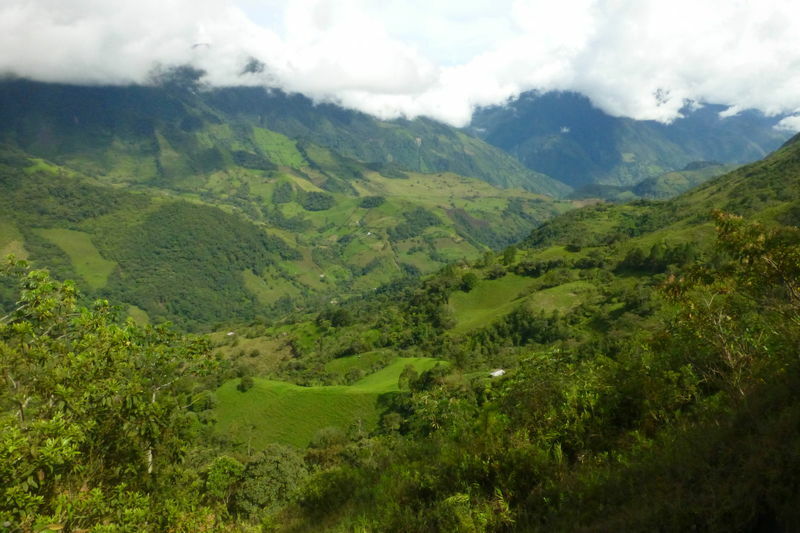 On the way to Guateque and Bogota. 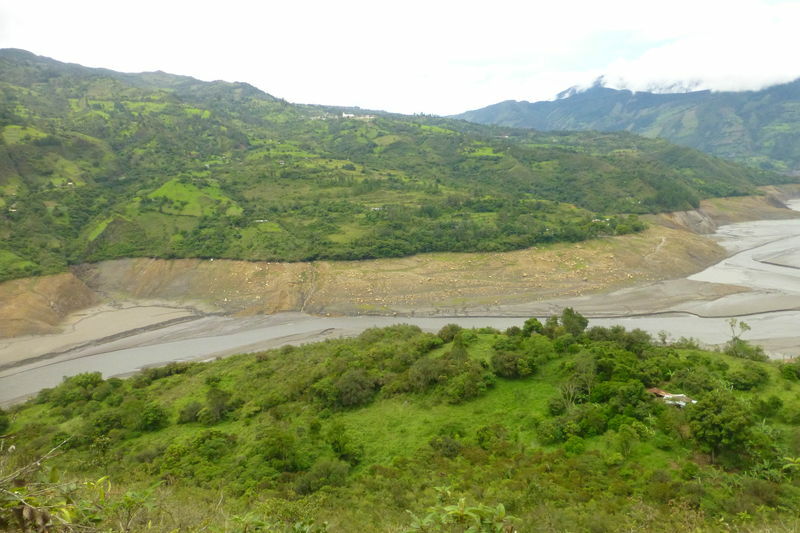 The whitish spot in the background is the town of Macanal. 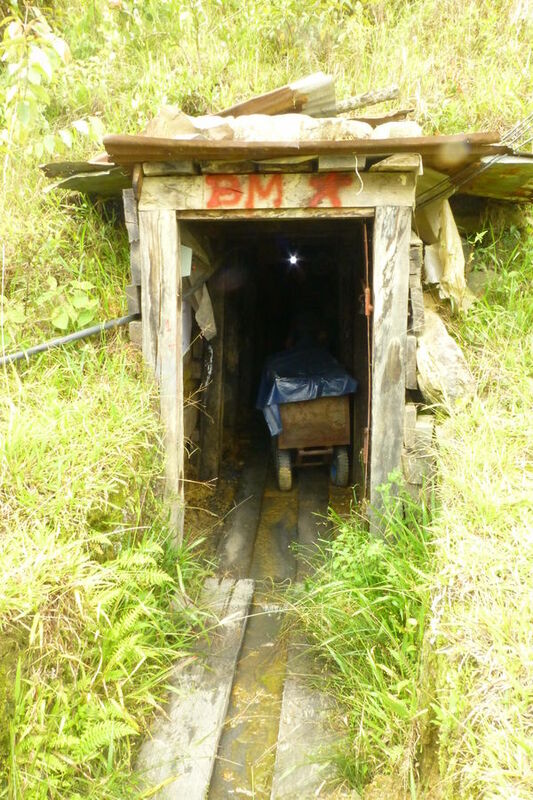 Most of the mines in the area of Macanal are abandoned. NOT a place for vegetarians. 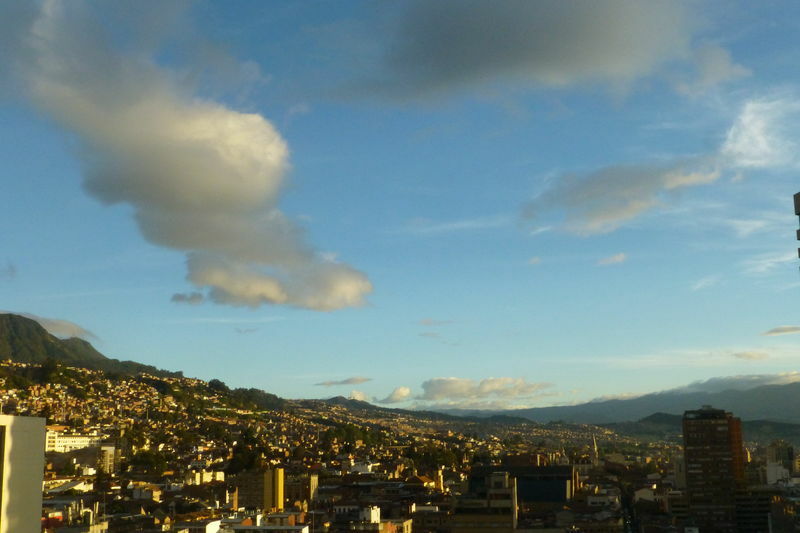 Arrival in Bogota at sunset. Thank you for sharing this nice trip. By the way, did you feel unsecure? The area is known to be one of the new western. I did, Gérard, thanks for providing an insight in this dangerous and beautiful area of the world. For those who are interested in this topic (and who speak German): I recommend you to read ExtraLapis No. 21 (Smaragde der Welt, 2001), p. 38-49. 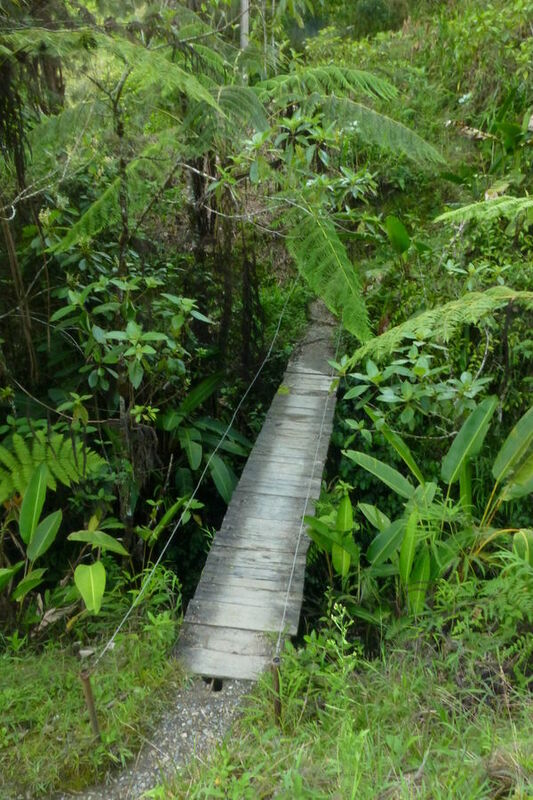 Thanks for showing us this area full of green no matter where you go. Philippe, Tobi, Christophe, thanks for your appreciations! Indeed the Eastern belt is very green but the Western belt (e.g. 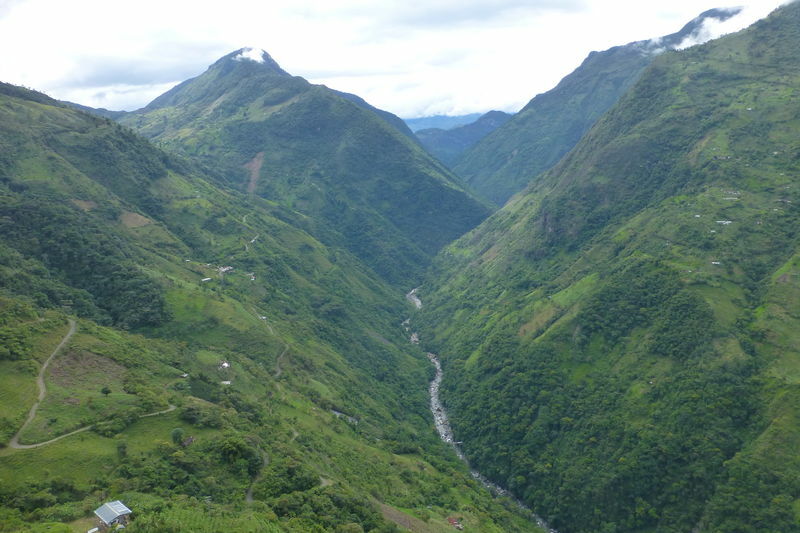 the Muzo area) which is at a lower altitude (1,000 meters less) is even more lush. 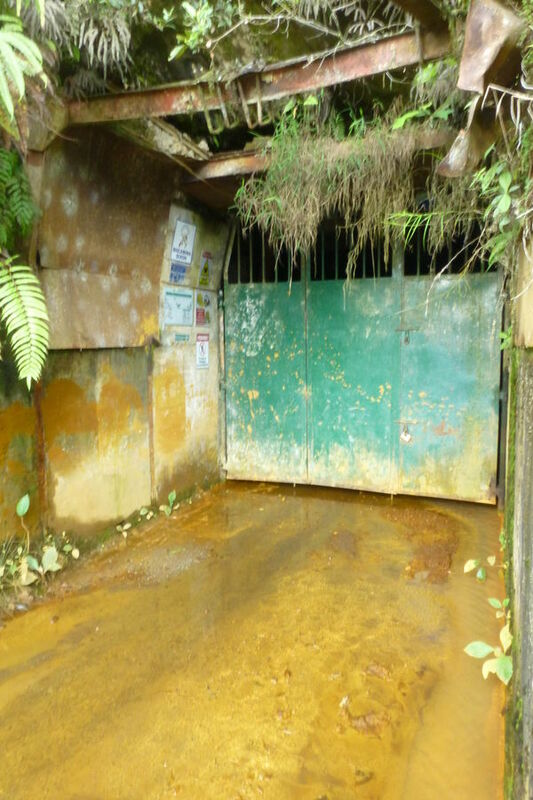 You get instantly soaked when visiting a mine in the Muzo area - this takes a bit longer in the Chivor district depending of the height of the tunnel. 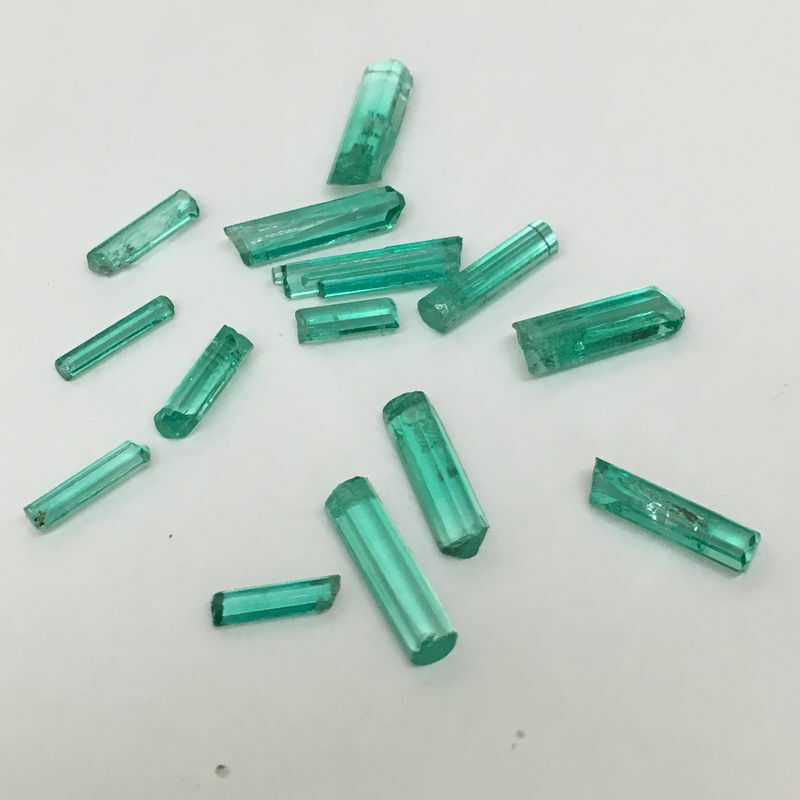 The Jan/Feb 2016 issue of the Mineralogical Record on Colombian emeralds is an excellent and cheaper alternative (although it's focused on Colombia unlike the Lapis issue). 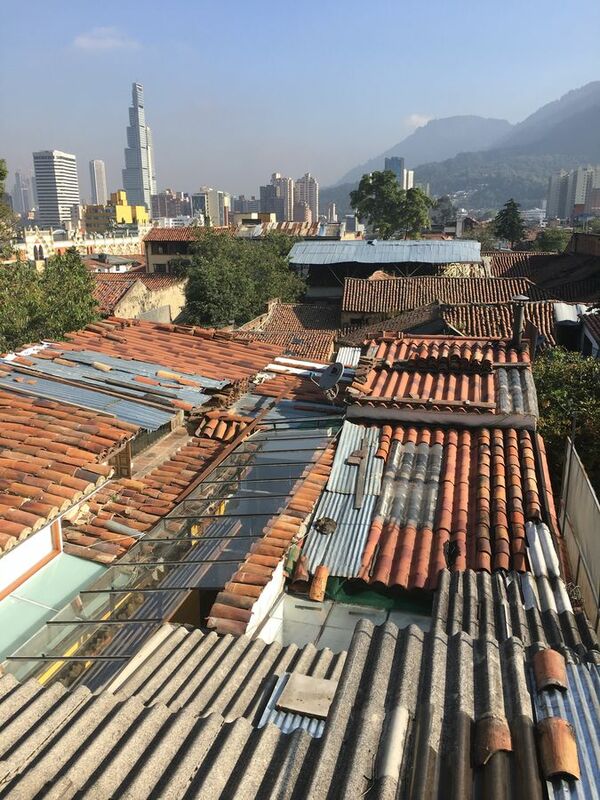 Is Colombia more dangerous than other places? 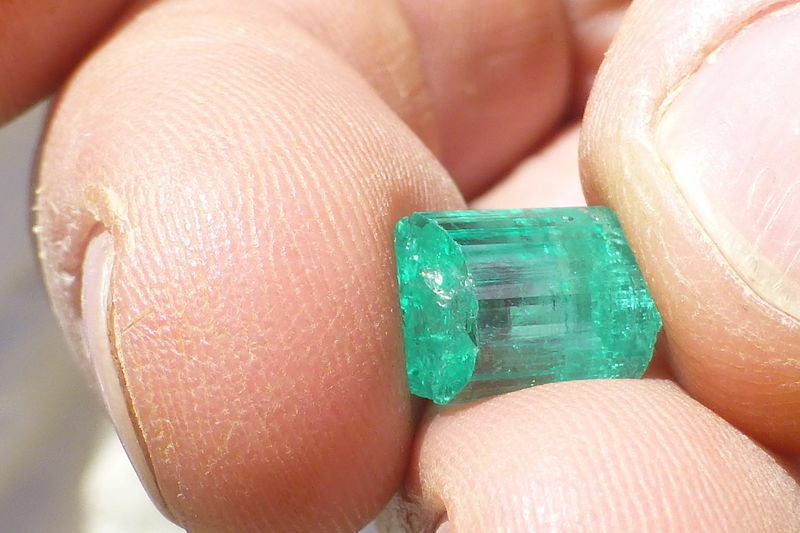 Are the Colombian emerald mines more insecure than the ones in Brazil, Zambia or Afghanistan? There is not an easy answer for that. For sure ultra-violence was present in all aspects of life in the 80's and 90's but the situation started to slowly improve after the last emerald war ended in the early 90's. 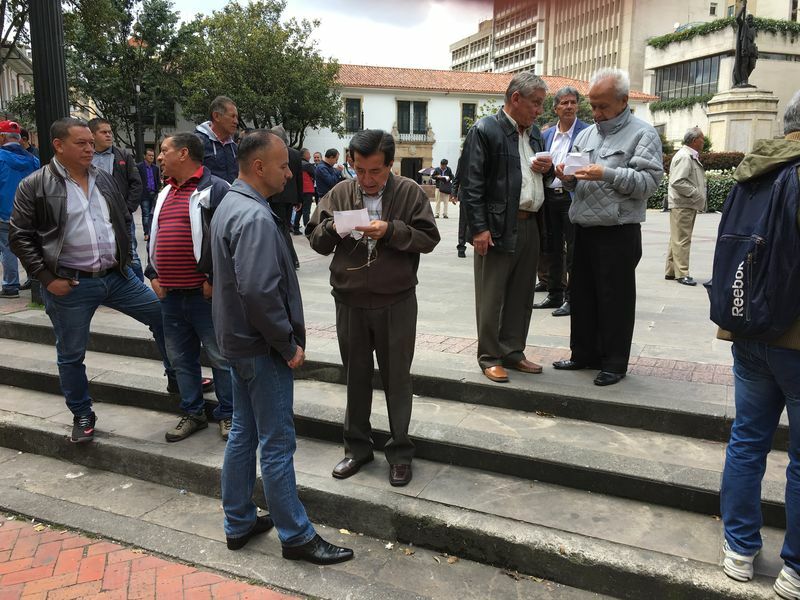 On the political side, peace talks are under way and a formal agreement is expected to be reached pretty soon between the Colombian government and the guerilla. 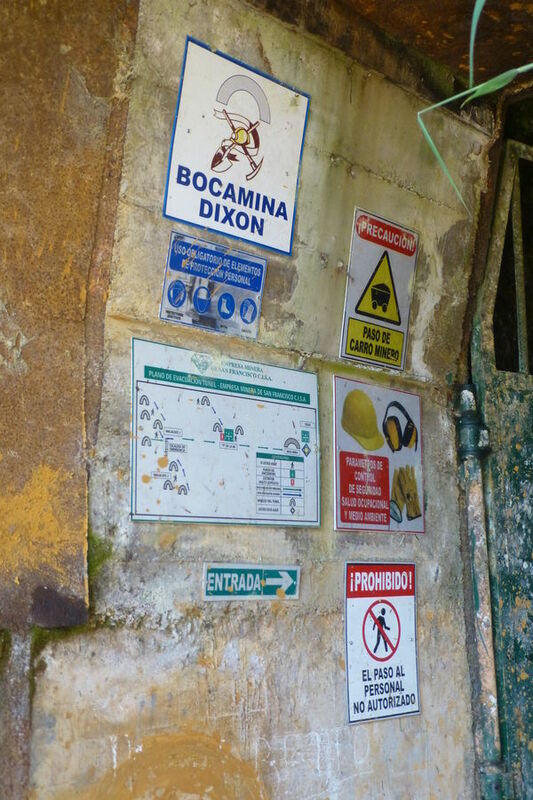 Yes, planning a visit to the mines does require on-the-ground knowledge and logistics. This can be arranged through a good and reliable contact person. 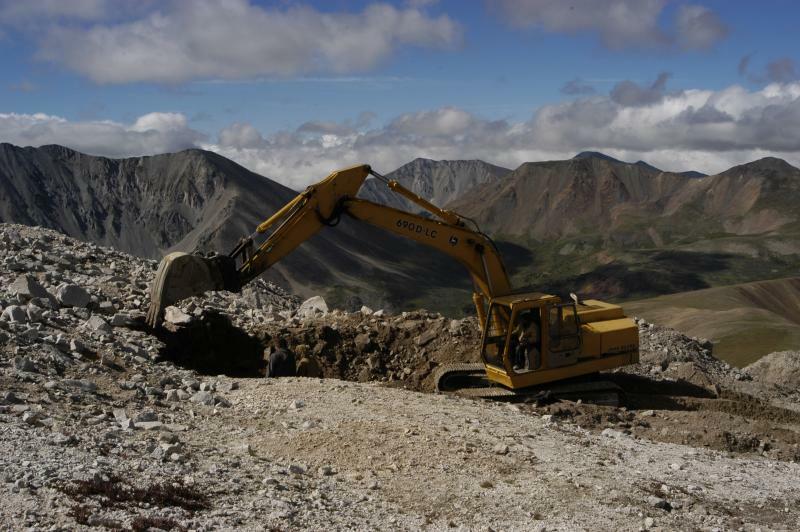 Some local operators have started organizing mining tours. 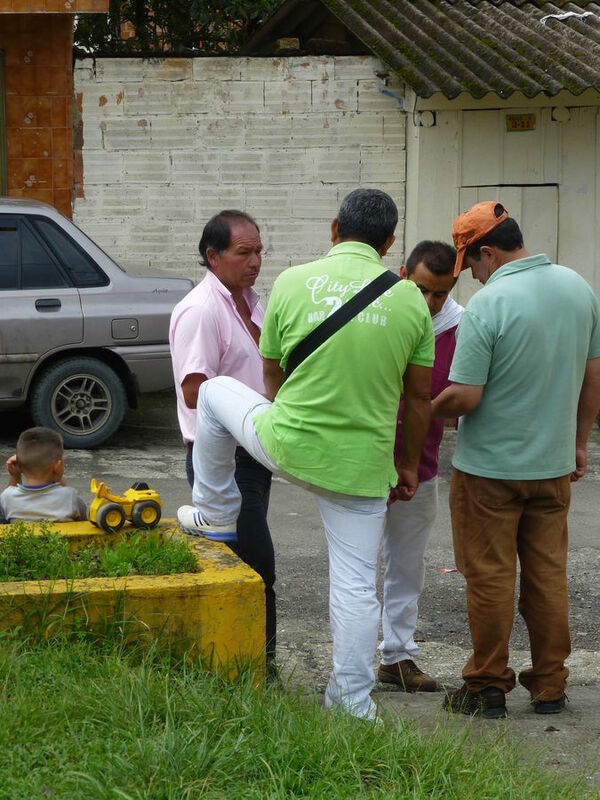 I don't know what level of service they offer but that could be a good starting point for the newcomers in Colombia. Very interesting thread Gérard, thanks. I already moved it to the "Featured Columns of FMF"
I had the words right but in the wrong order... thanks Jordi! Will try to keep that in mind but the chance to forget a place like Chivor is pretty slim. Really nice pictures with a inch of humor and fun! 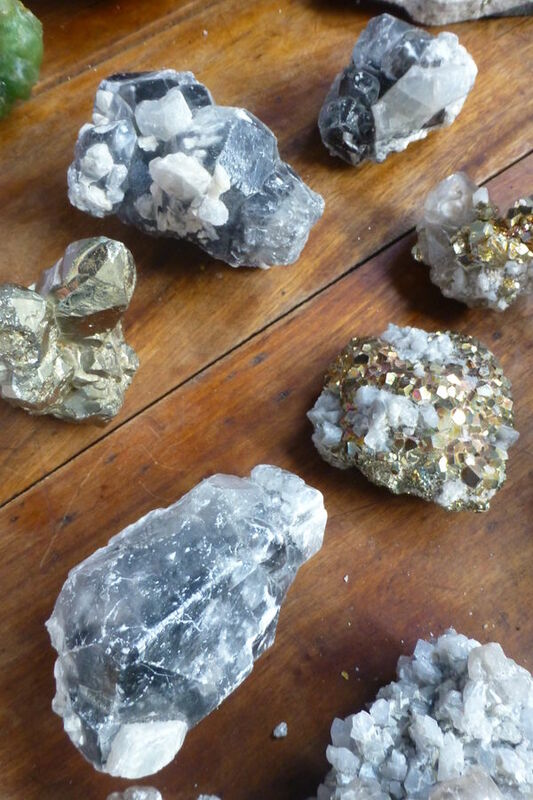 That was an inspiring trip even if we didn't find any beryl crystal when rockhounding. Just came back from my second trip in the Chivor area this year. 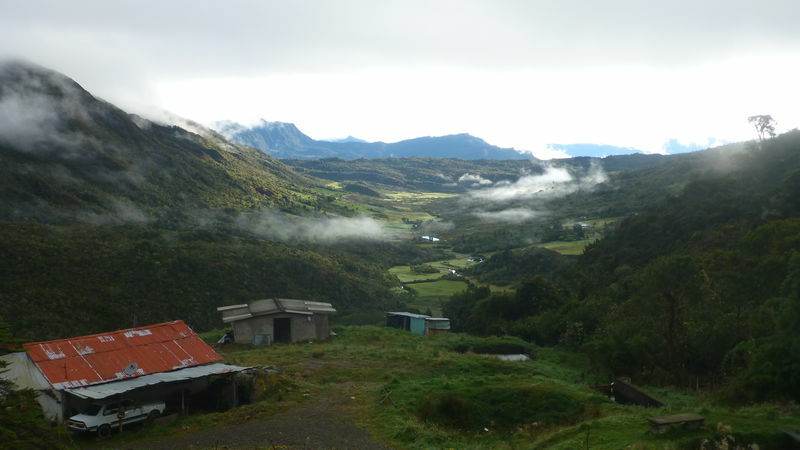 Early morning, on the way to Ubalá, Cundinamarca. 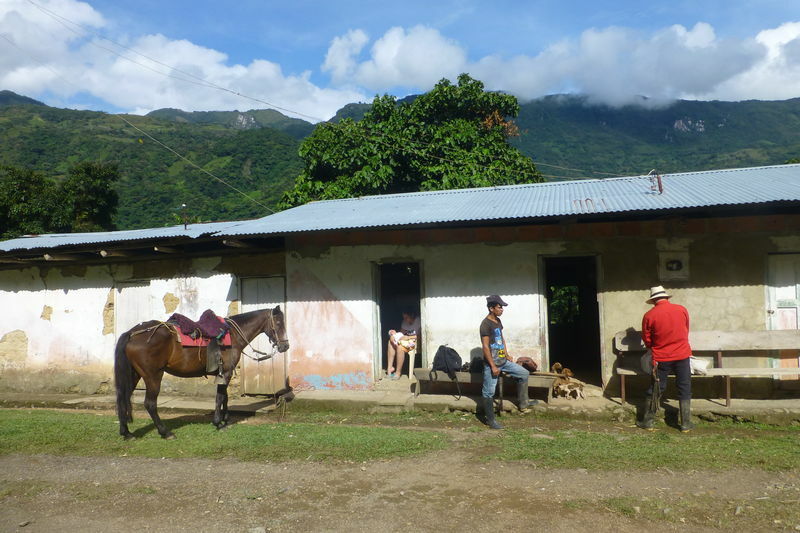 A 'campesino' with his mule and his dog, on the way back to his 'finca'. 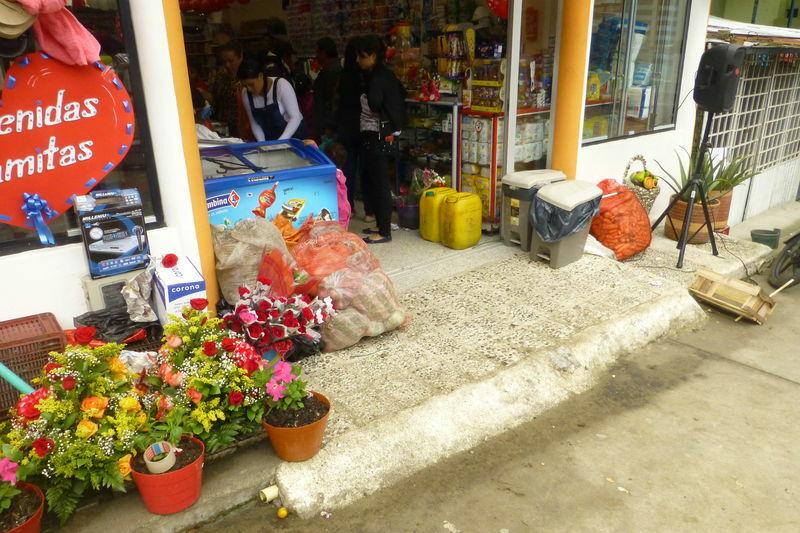 Still a common scenery in the departments of Cundinamarca and Boyacá - but for how long? 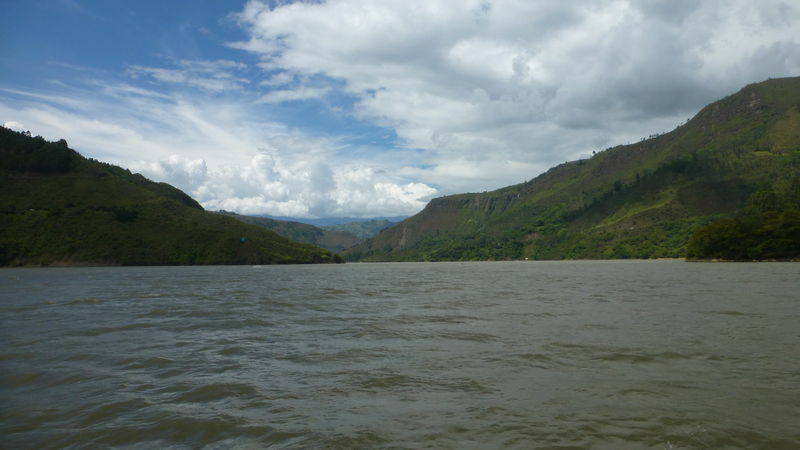 Emeralds are found on both sides of the Rio Guavio. But very few mines are in production. 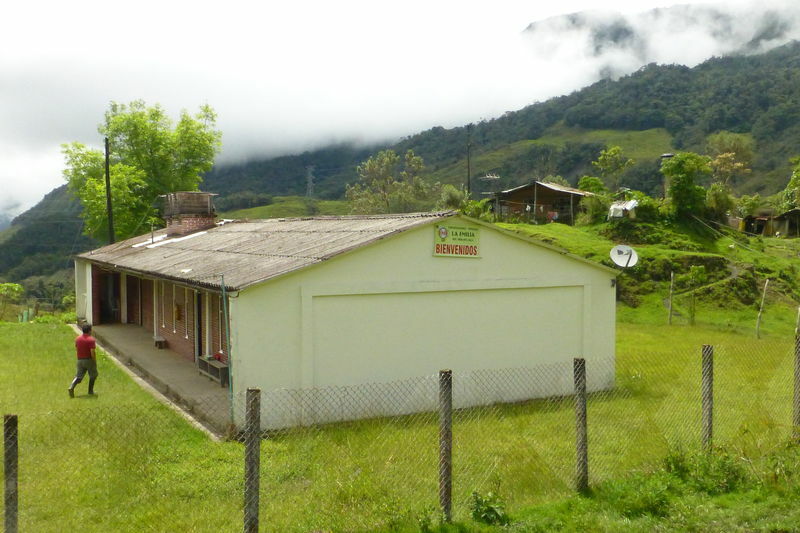 Montecristo miners' camp in Cundinamarca. People sure know how to take their time here. On the way to Peter Rainier's hacienda. 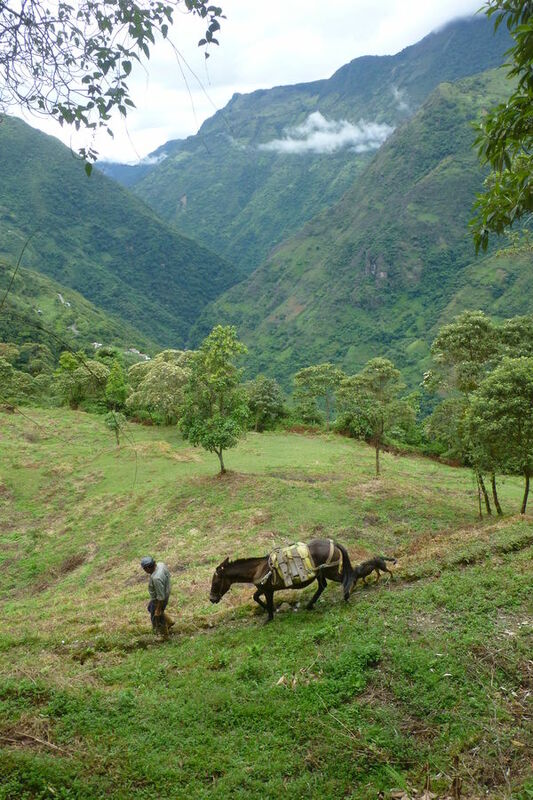 The scenery is spectacular all the way to the hacienda. 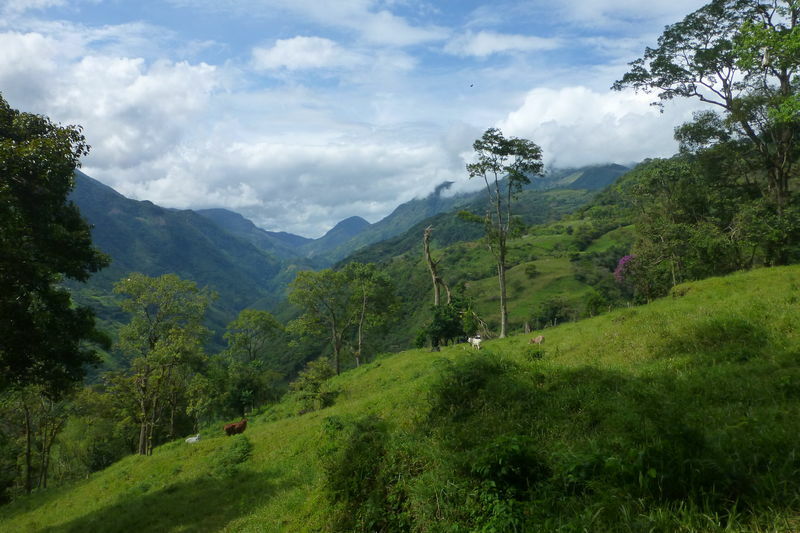 Hacienda Las Cascadas, Peter Rainier’s home and tea plantation. 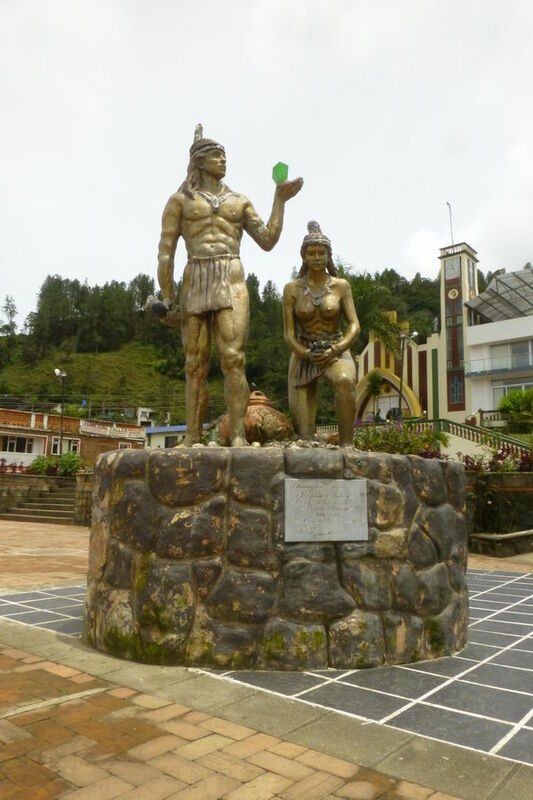 Peter Rainier was the administrator of the Chivor mining district from 1926 to the late 30's. Sadly the hacienda is a total wreck today. 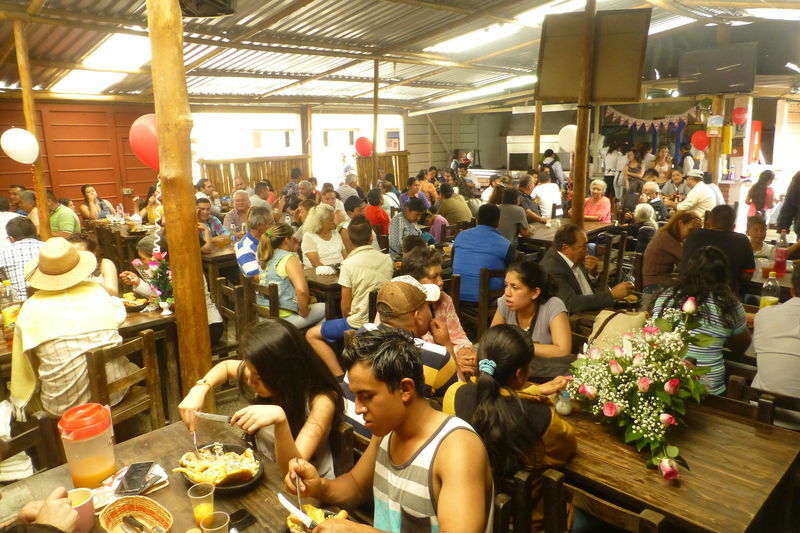 Market day in Chivor, Boyacá. 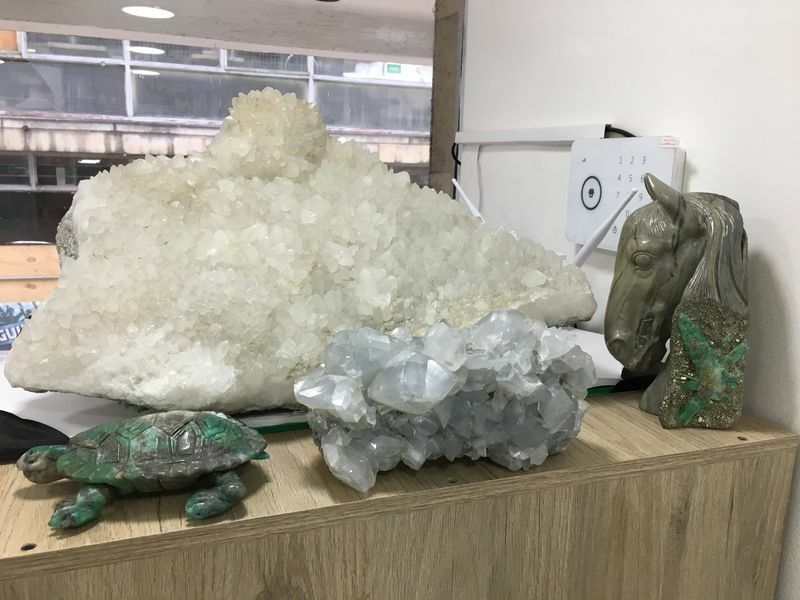 A market for rough stones and in-matrix specimens. 2 lots of rough stones. The owner insisted that I take a picture of them. 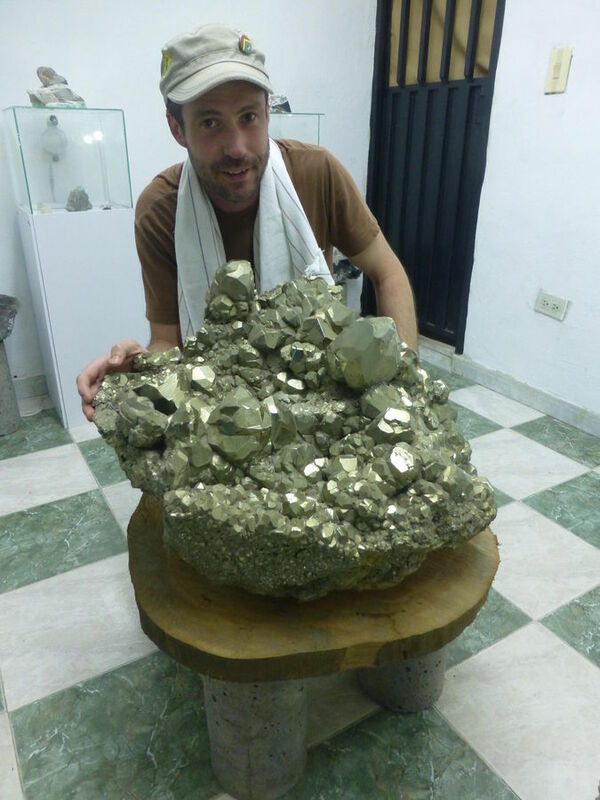 A 5 kg specimen. NOT glued! A beautiful 4.4 carats crystal from Palo Arañado mine. Considering the shape and the quality of the crystal, a 50% reduction in weight can be reasonably expected after faceting. 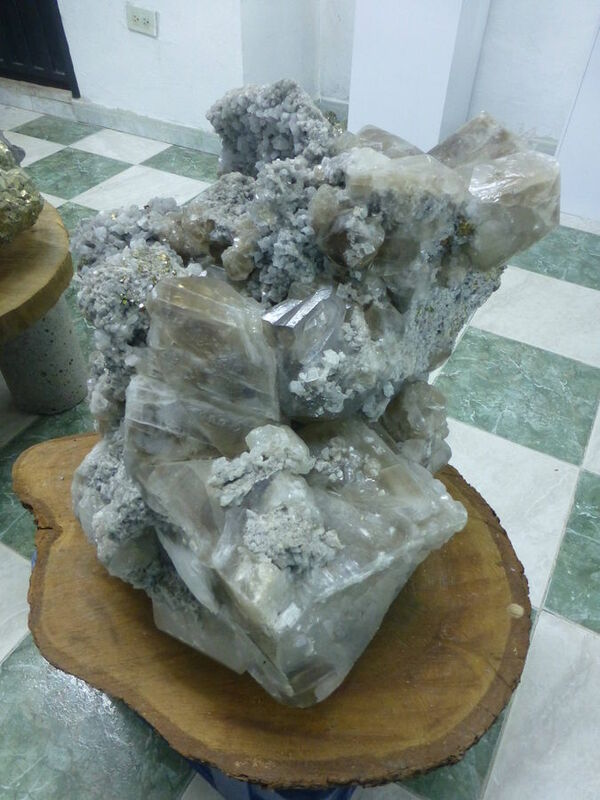 Very nice calcite and pyrite specimens from Piedra de Chulo mine. The town of Chivor is in good hands. Unlike on my previous visit, the Dixon tunnel was open this time. A tourist miner who has been told this was a productive zone. 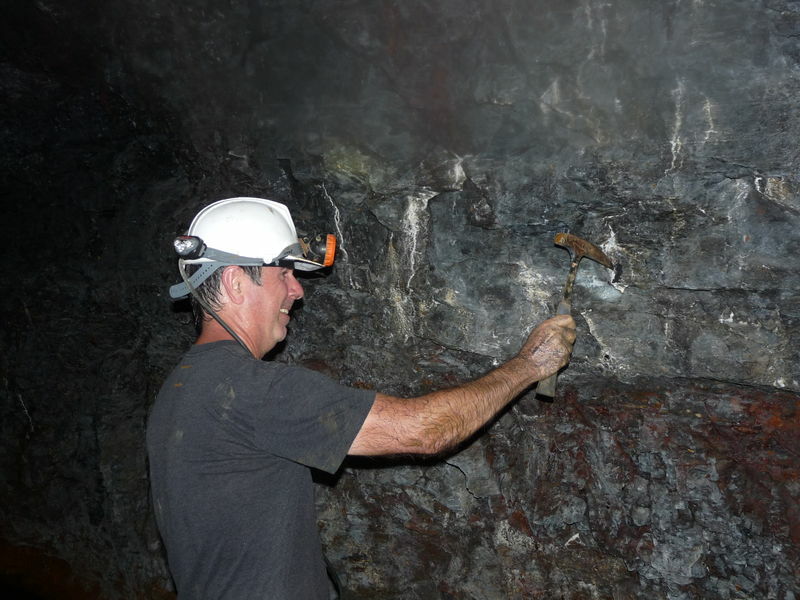 A real miner in action. Note the difference with the 'miner' of the previous photo. Another noticeable difference between the 2 miners. The Chivor dam lake is a recreational area. 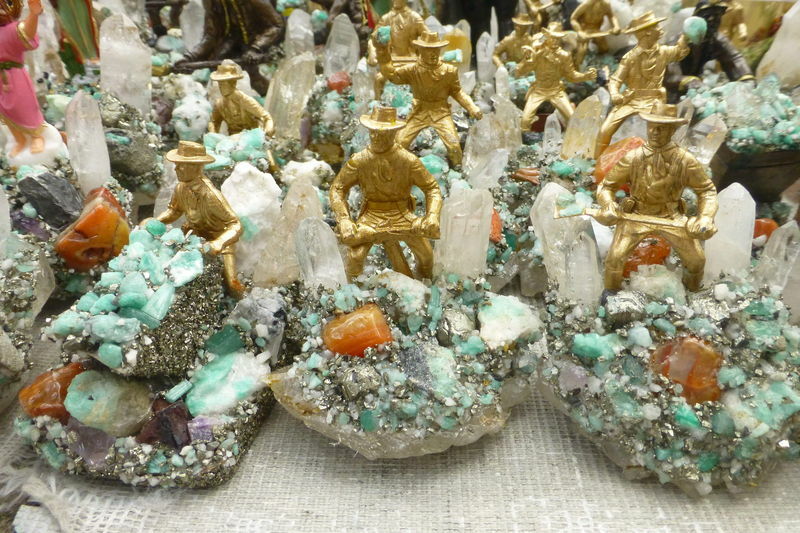 Another lot from Palo Arañado mine. 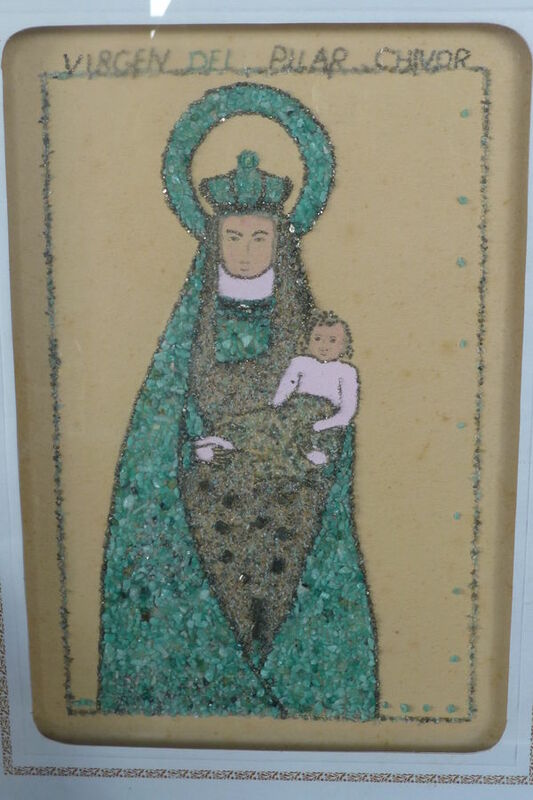 Crystals are a bit more saturated than in the previous lot. 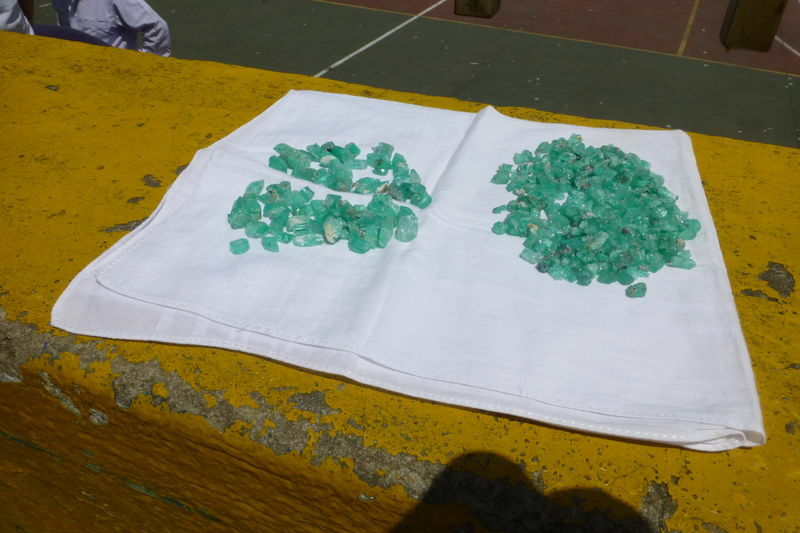 An illustration of the color variety of Colombian emeralds. 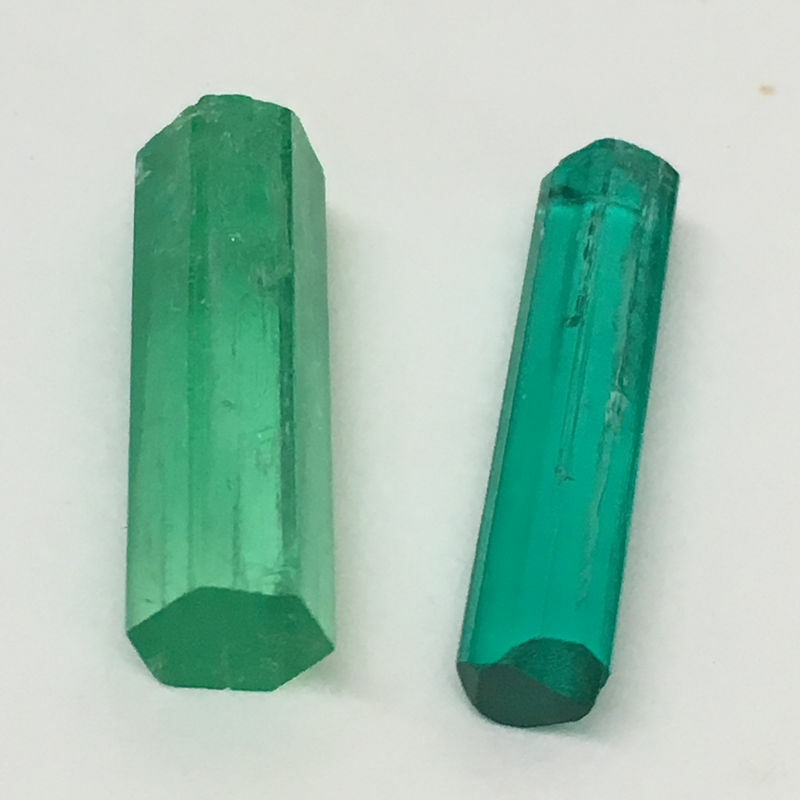 Crystal on the left is from Coscuez and exhibits a strong yellow cast. 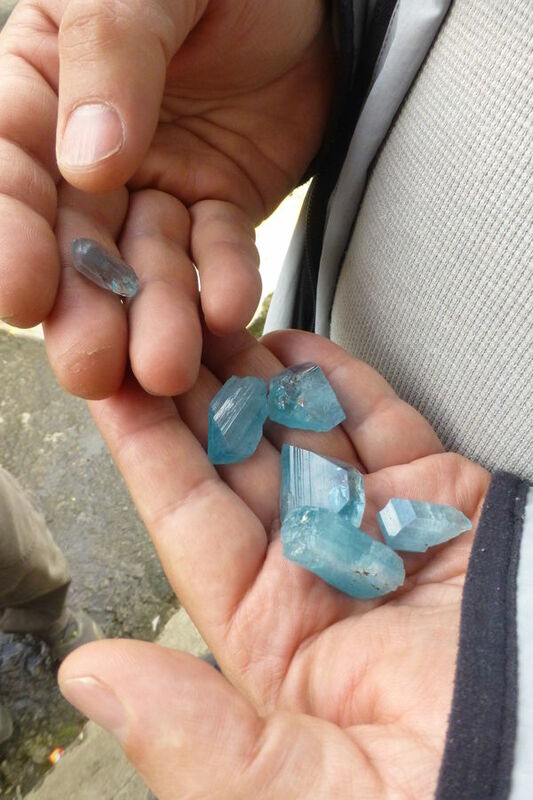 Crystal on the right is from Palo Arañado (Chivor district) and exhibits a strong blue cast. Had a last cerveza in Munich-Bogota before heading back to Europe. P.S. 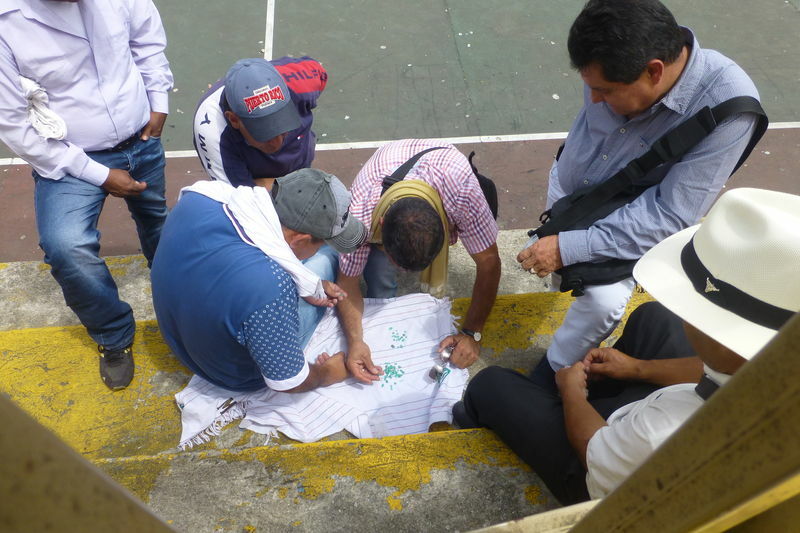 A great documentation of the emerald mining and business in Colombia, thank you so much! 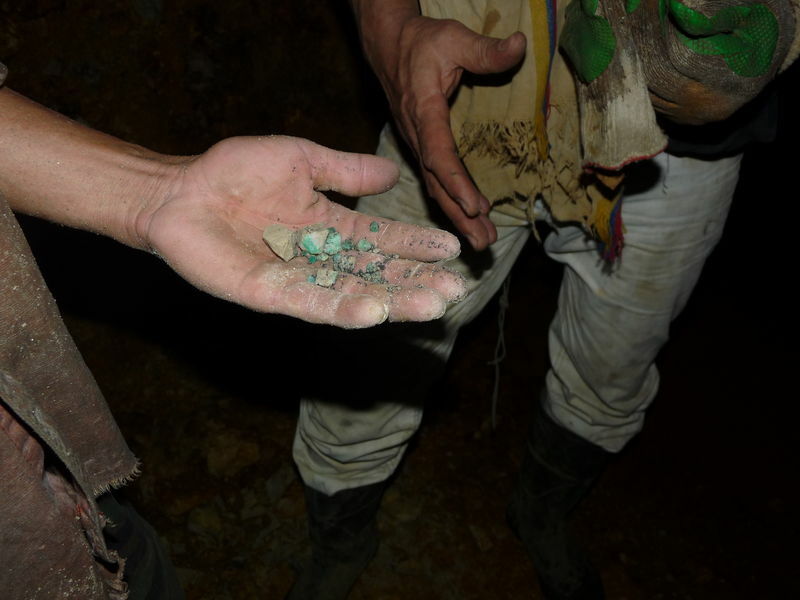 Thank you so much for your beautiful documentation of the emerald mining in Chivor Valley. I sent you a personal message. Thanks for your appreciation Tobi. 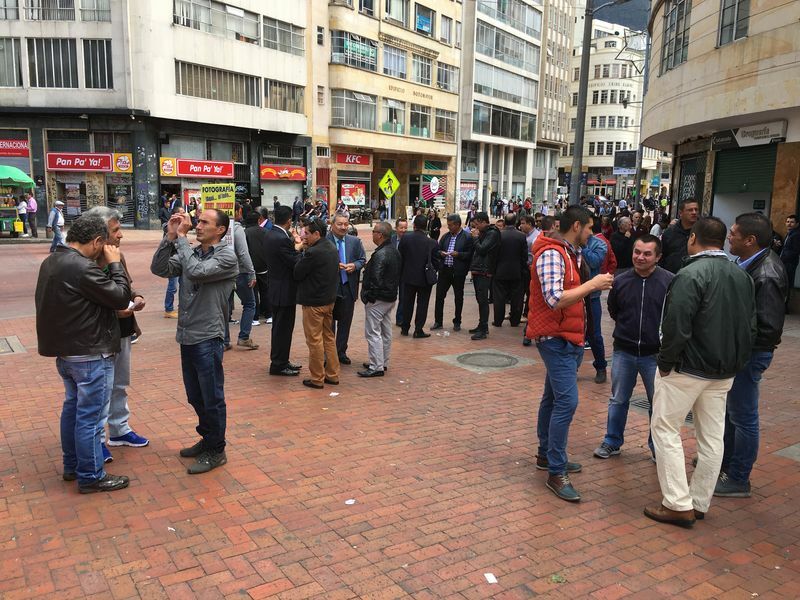 Beer is quite popular in Colombia - there are many small breweries in the greater Bogotá area - and I think this composite version of. Munich/München is a tribute to Oktoberfest. 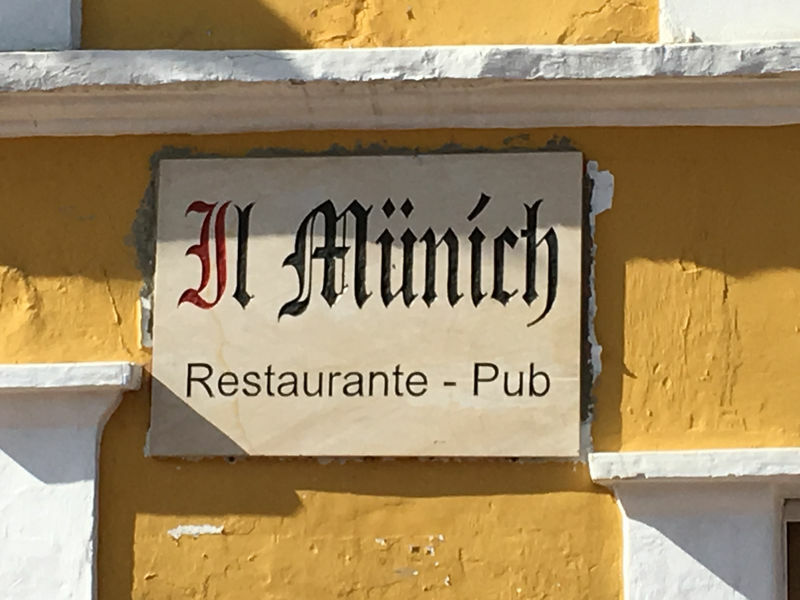 The owner probably felt he had to use a “ü” to make it sound like a real “bierstube”. Thank you for theese pictures and sharing your advendures. Thank you for your appreciation Philippe! 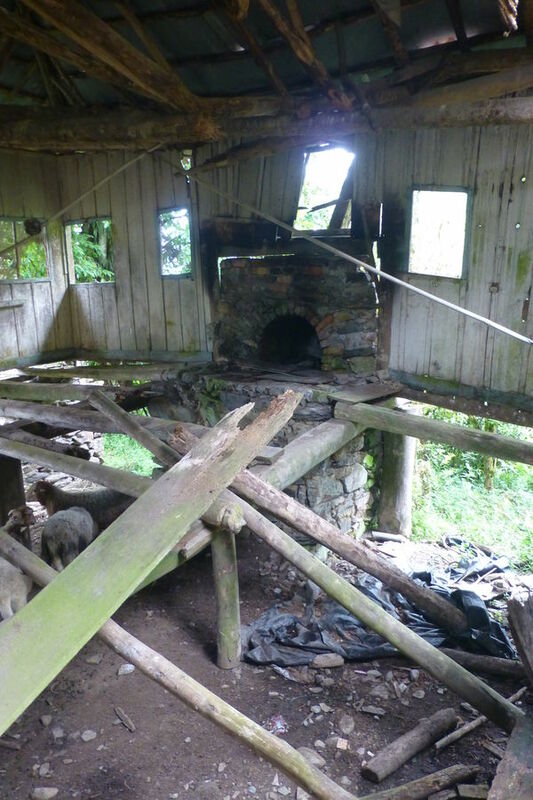 Actually I have planned another visit to the Chivor mining area next week, so maybe more pictures to come. 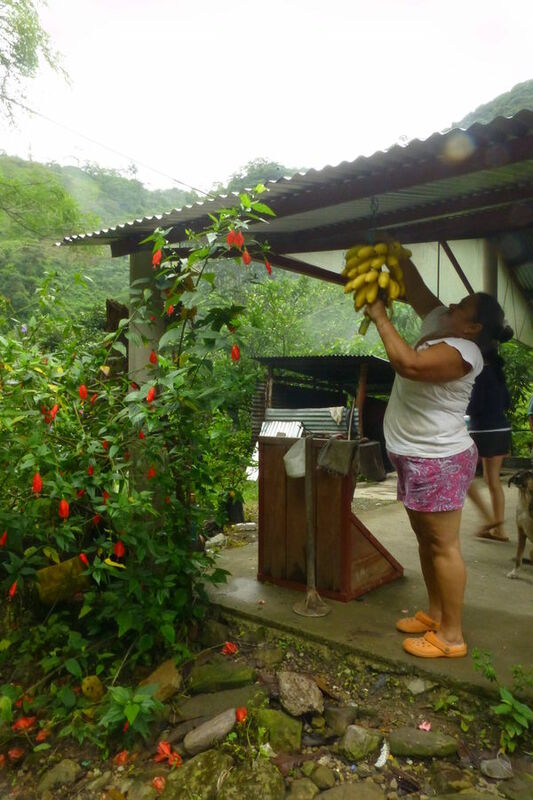 Don’t worry - there is still plenty left in Colombia. I was back to the Eastern Belt recently. Welcome to paradise. I decided to open that door. I was looking for a break from the yellow vest protests in Paris. 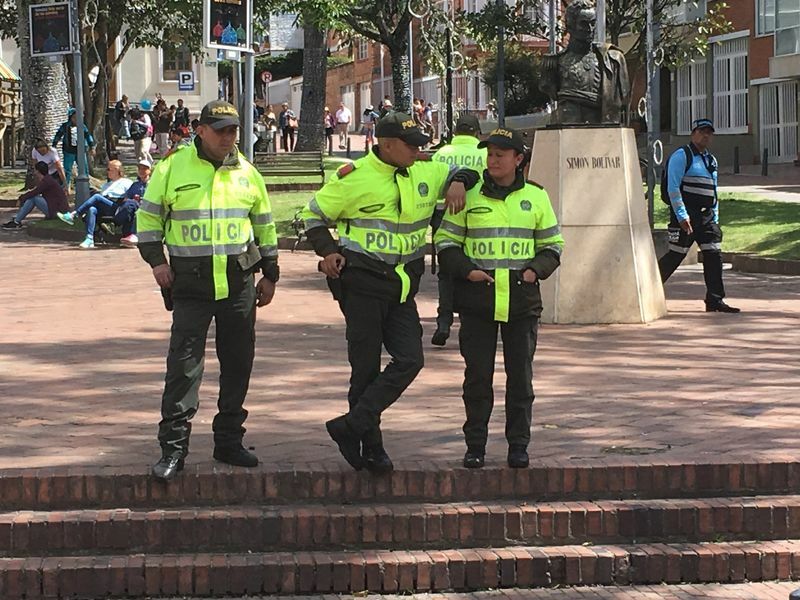 Found out that Colombia was full of yellow vests. Dimensions: Room with view on Monserrate church, probably the most famous of Bogotá landmarks. Cat on a hot tin roof. Looking eastward from the Macarena neighborhood, close to the city center. My favorite vitamins supplier in downtown. 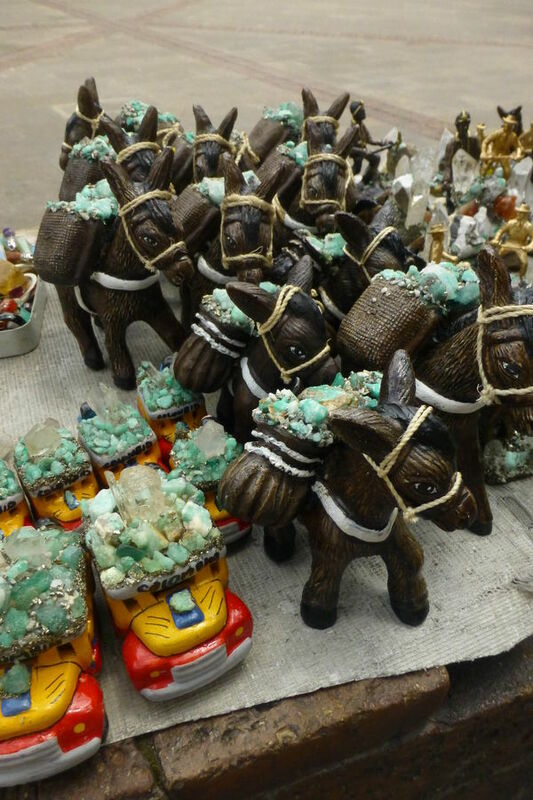 The emerald street market where mainly faceted stones are traded. Hanging around is a good way of taking the pulse of the market. 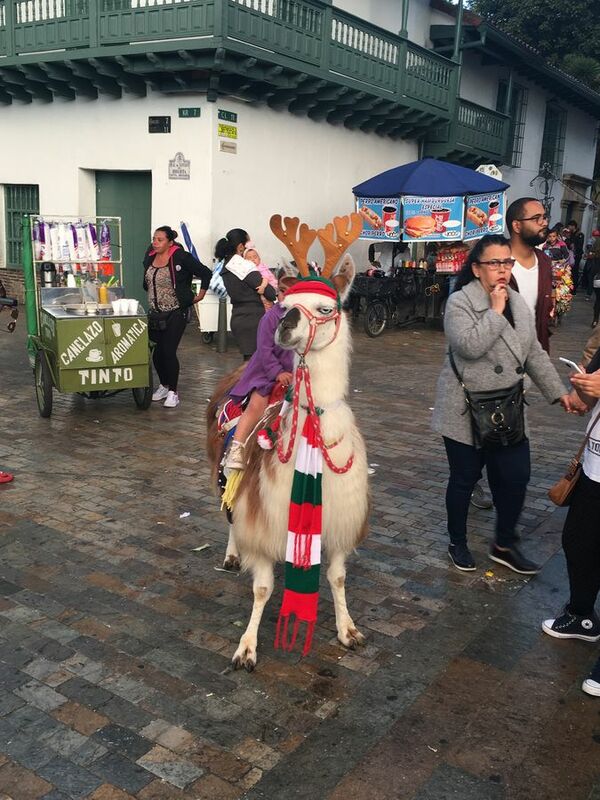 I saw a couple of spectacular specimens in Bogotá before setting off to Chivor. 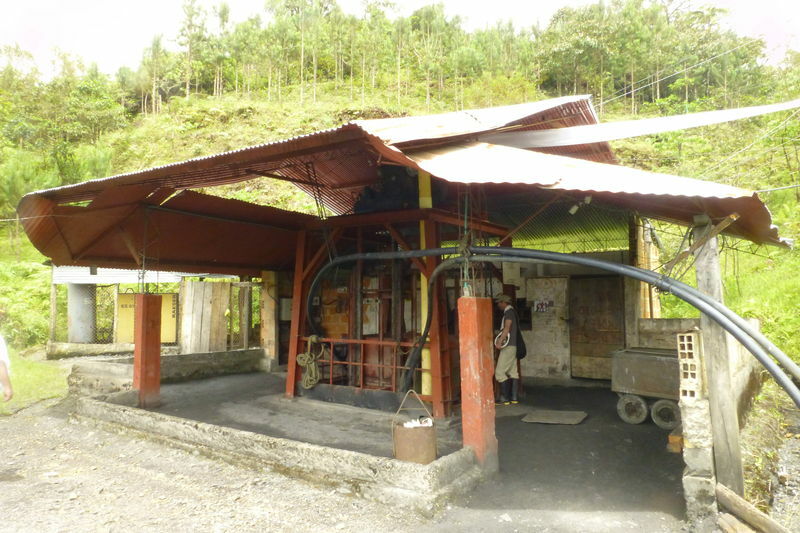 This is supposedly from the El Pulpito mine, in the Chivor district. 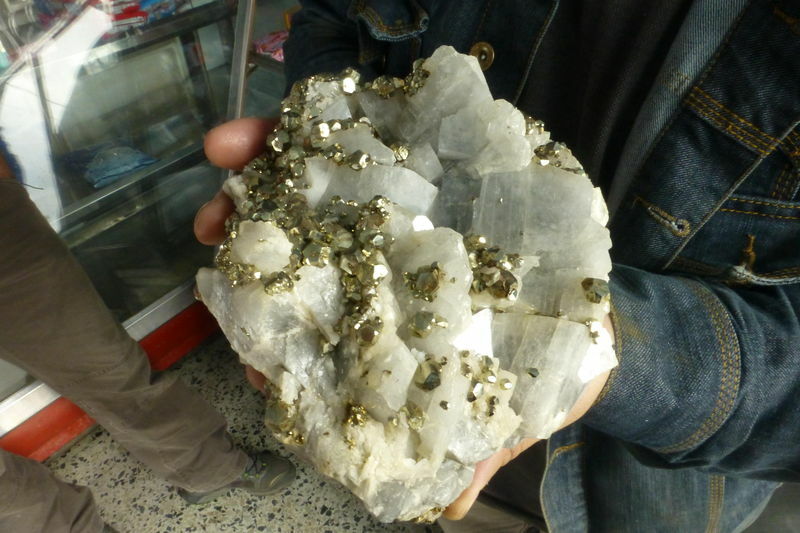 Another spectacular calcite + pyrite specimen from Chivor. 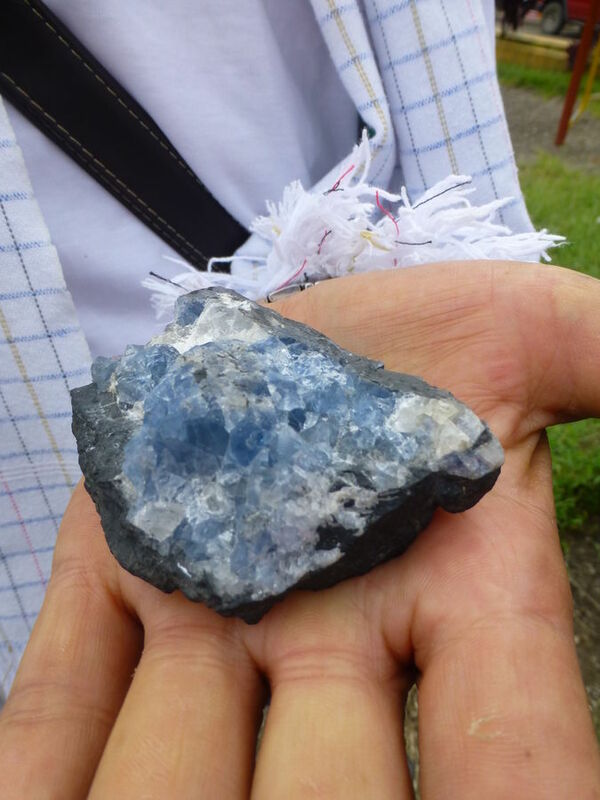 Bluish opalescent dolomite. 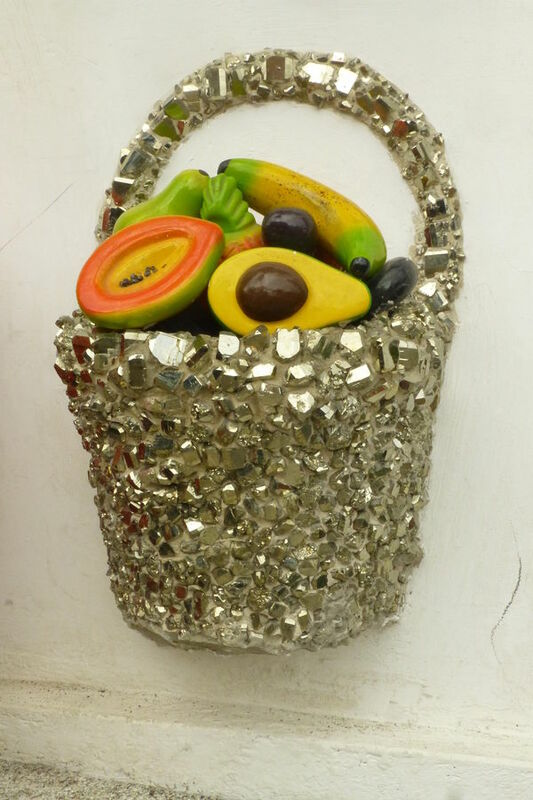 Can be sometimes paired with acicular emeralds.